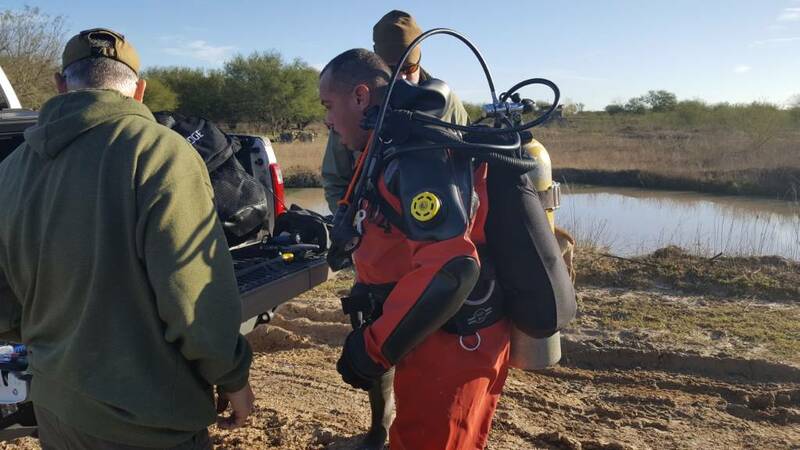 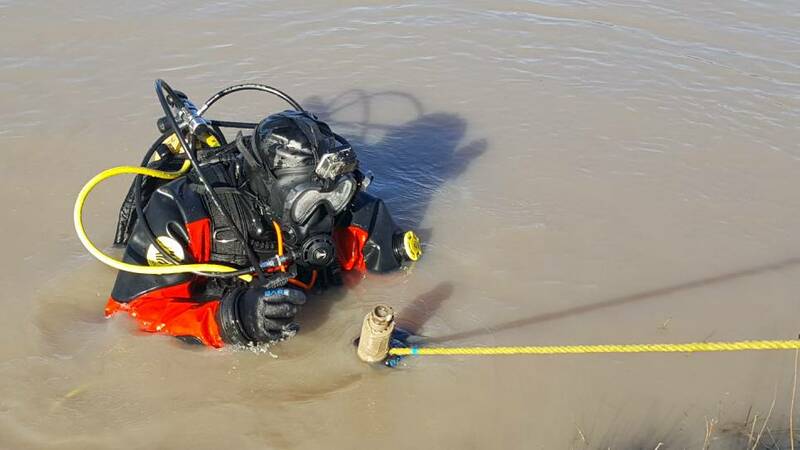 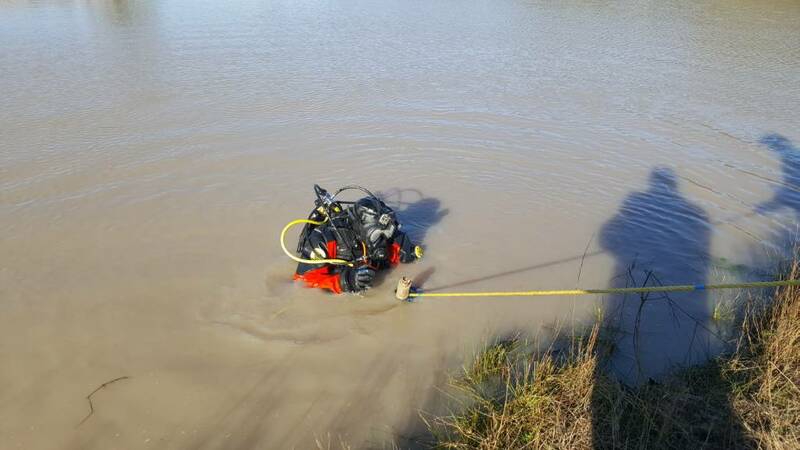 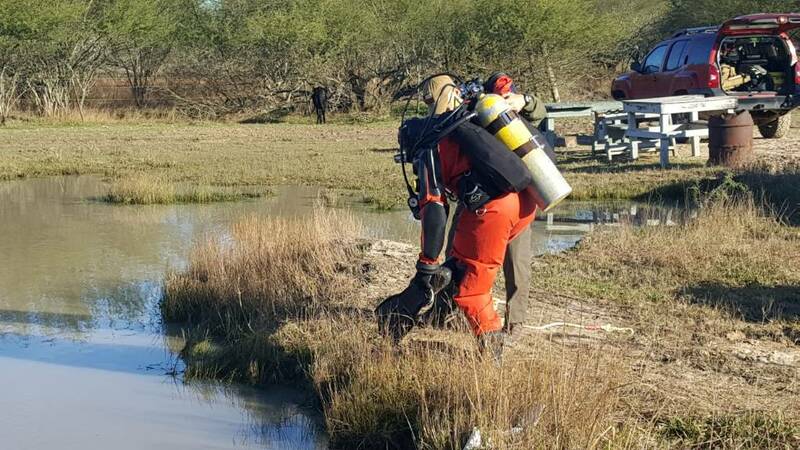 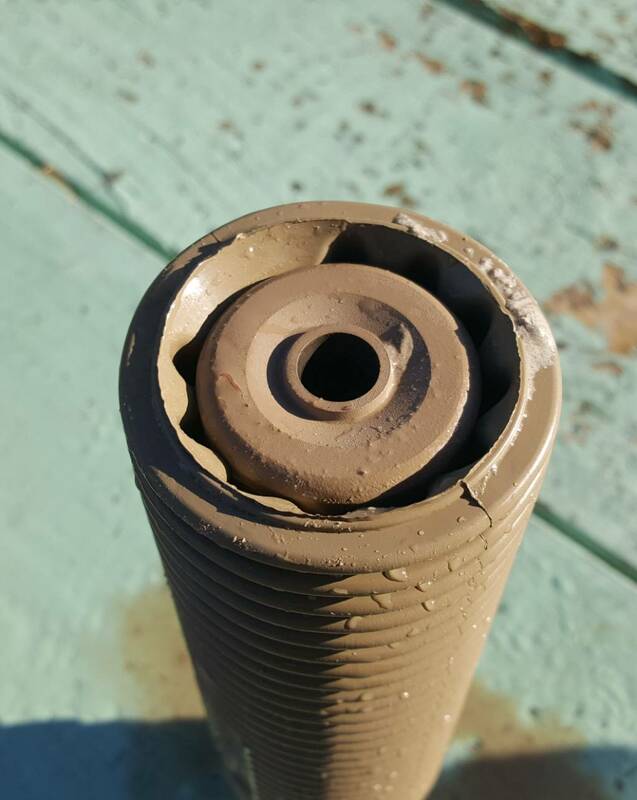 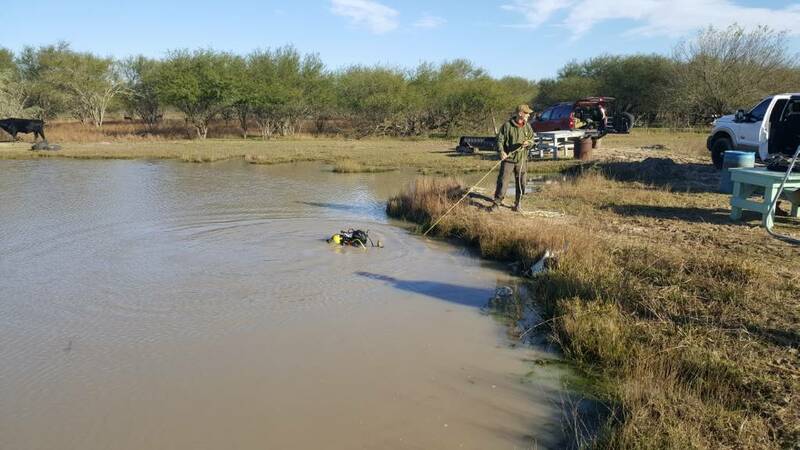 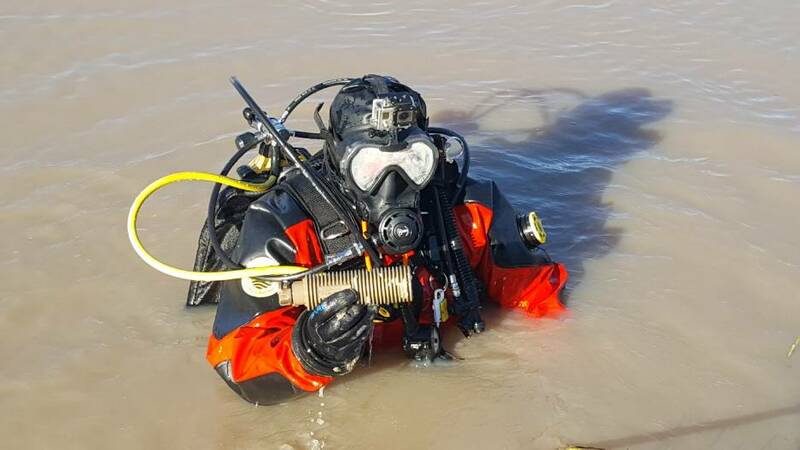 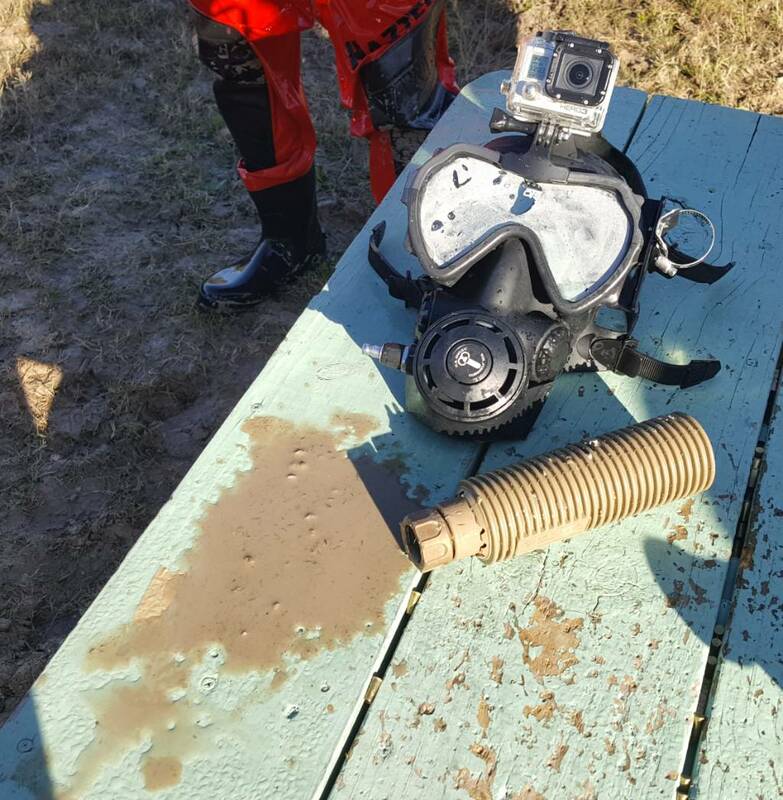 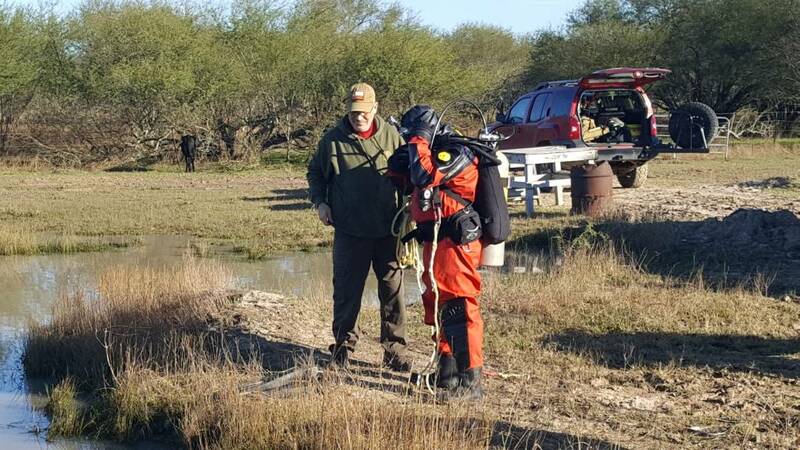 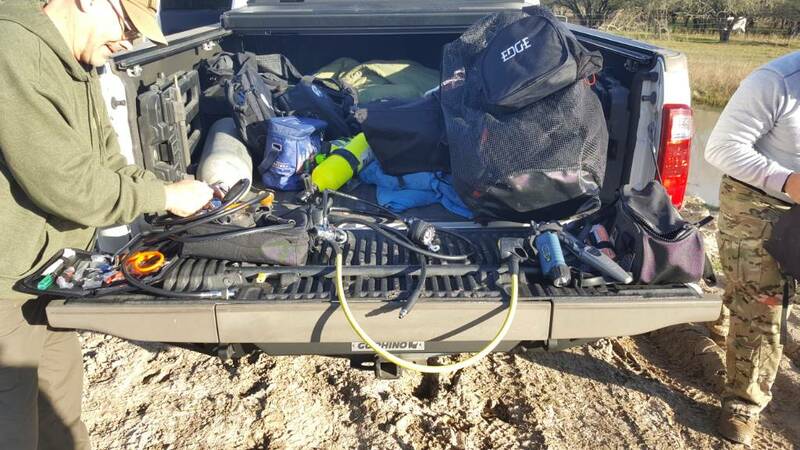 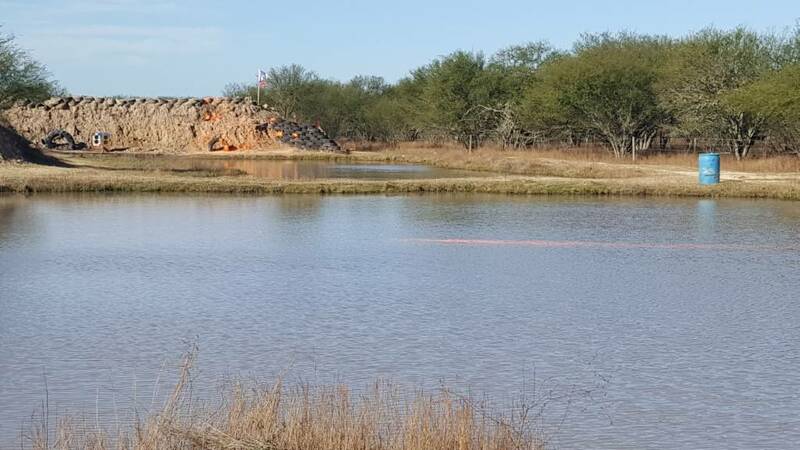 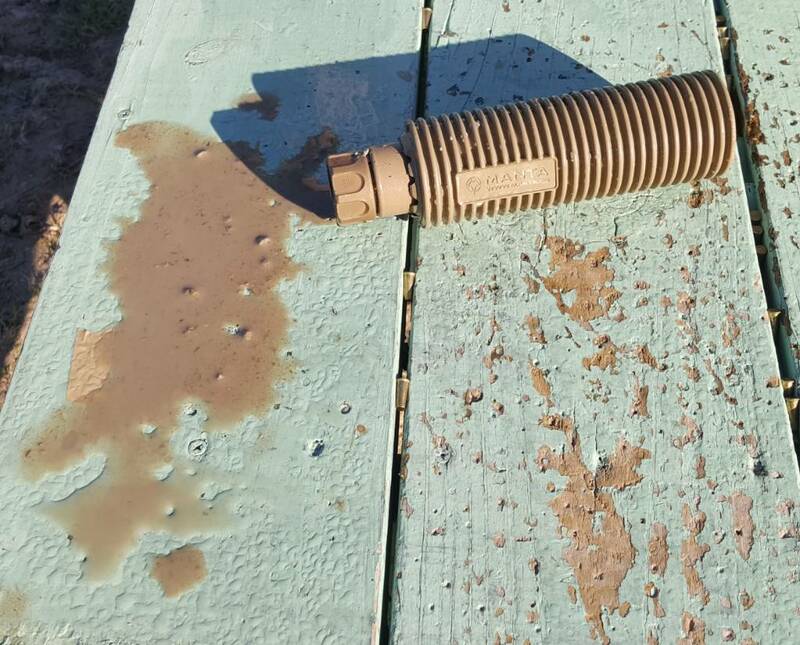 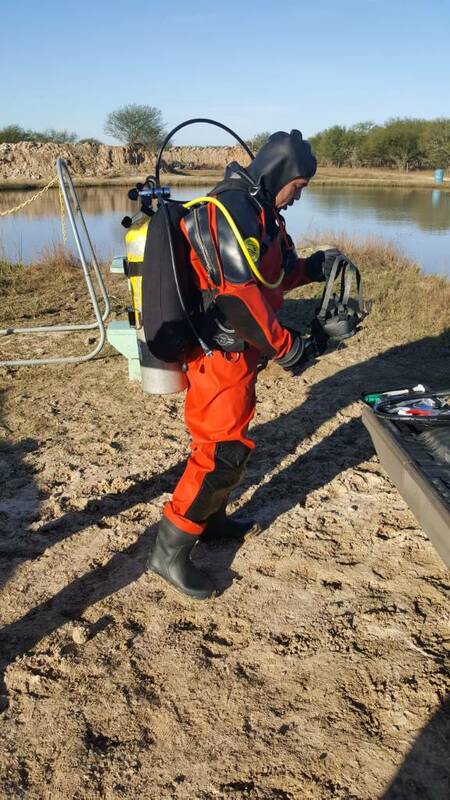 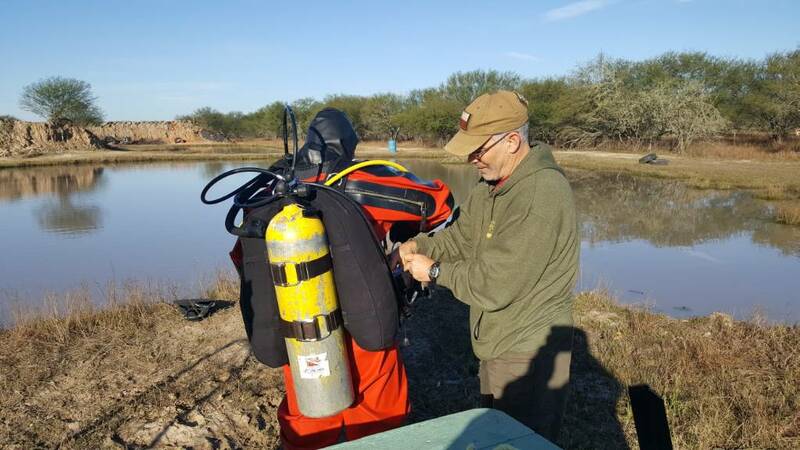 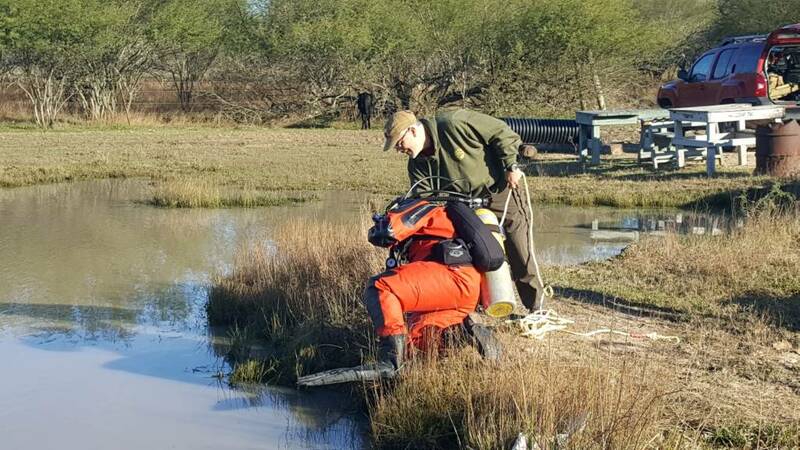 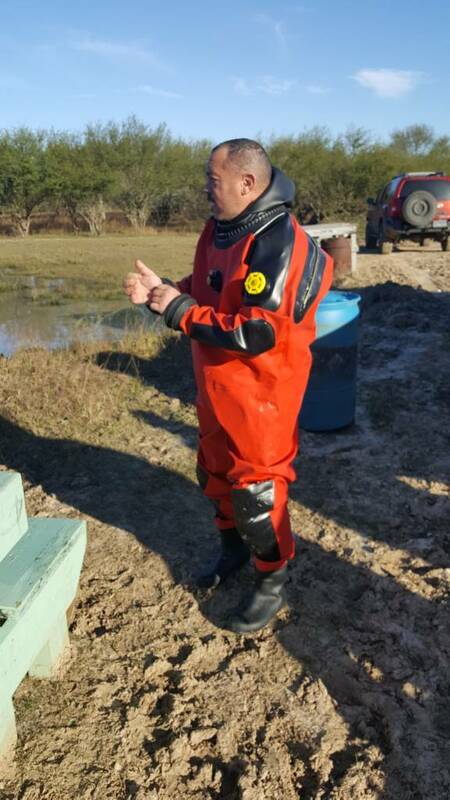 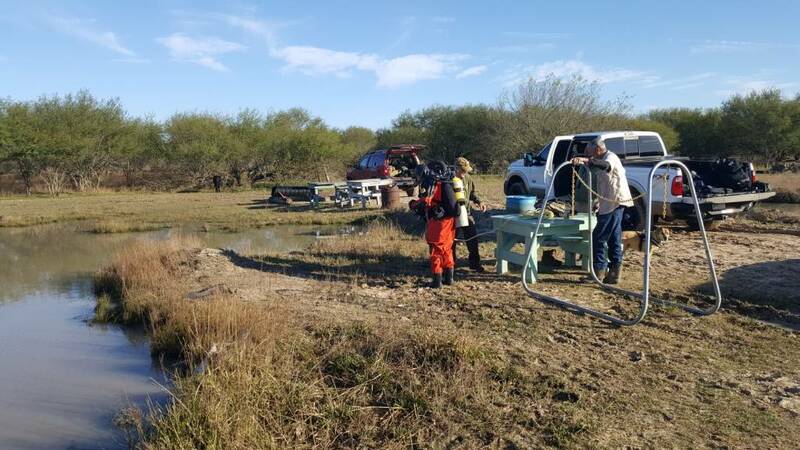 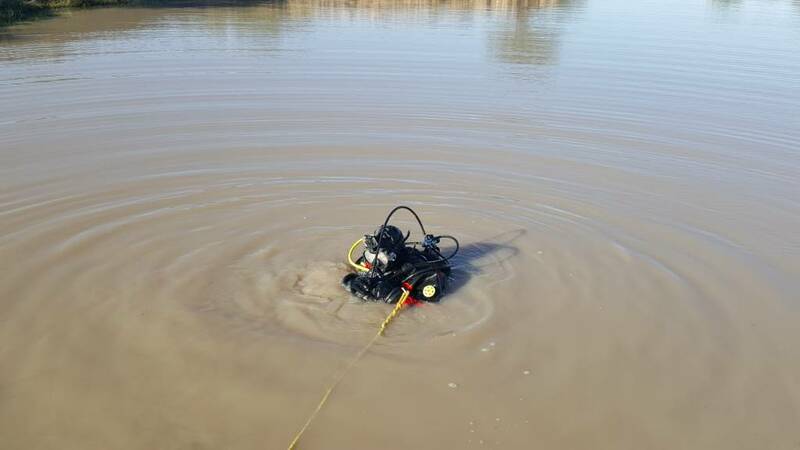 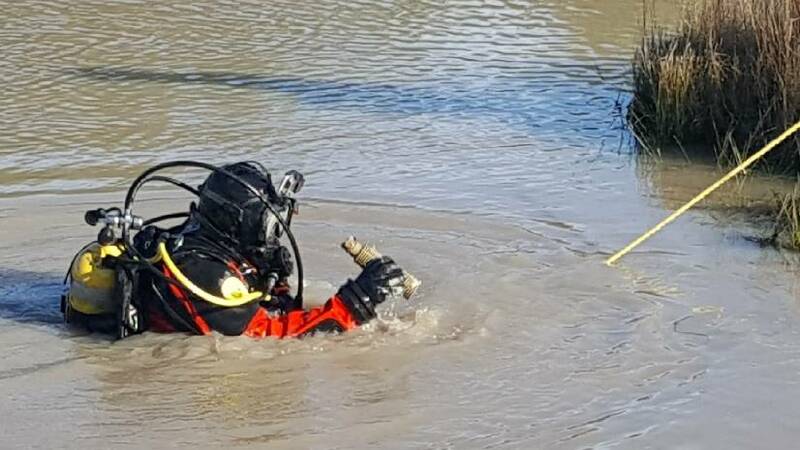 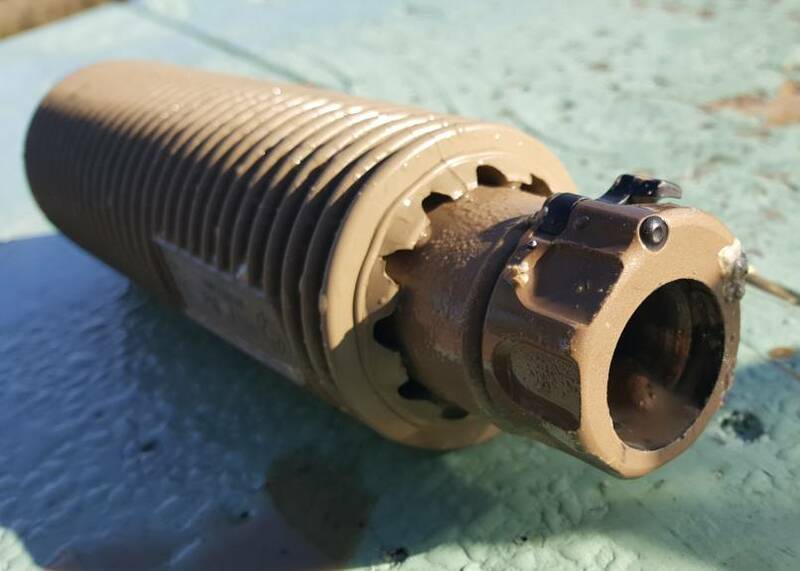 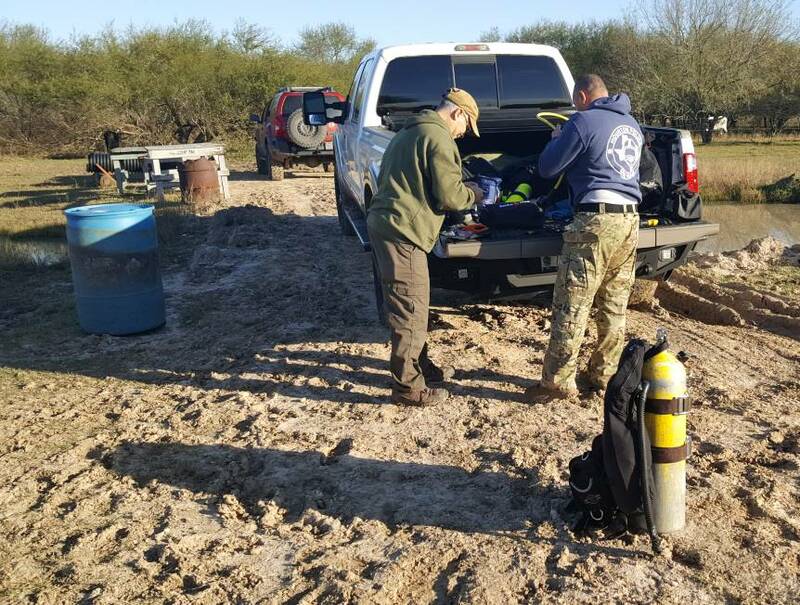 HPD Divers found the suppressor that was launched into the pond after a 15 minute dive. 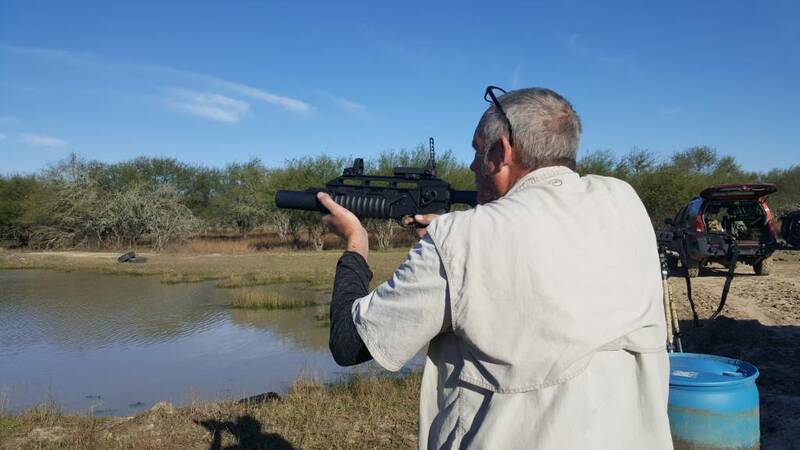 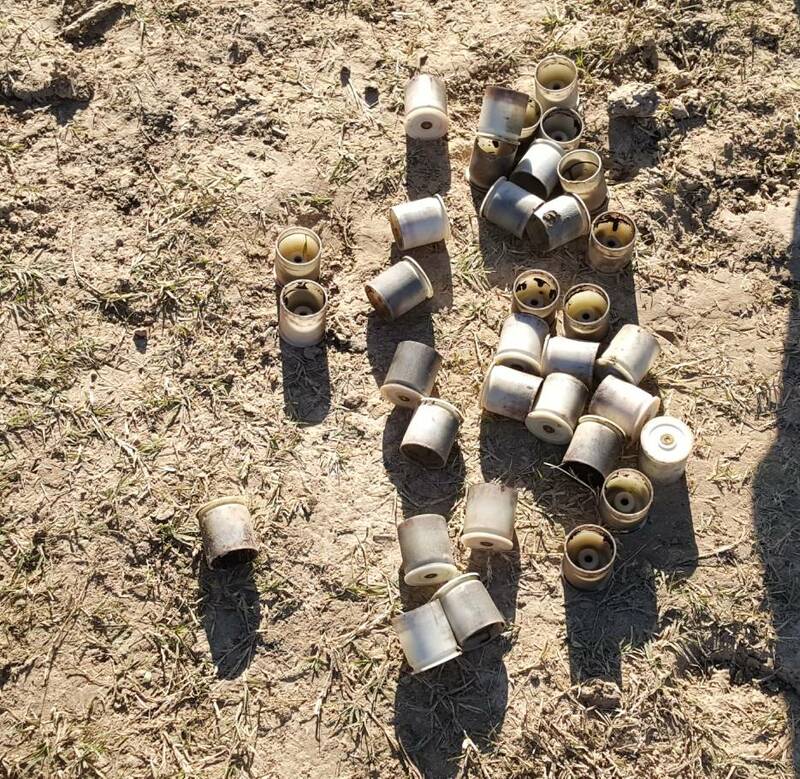 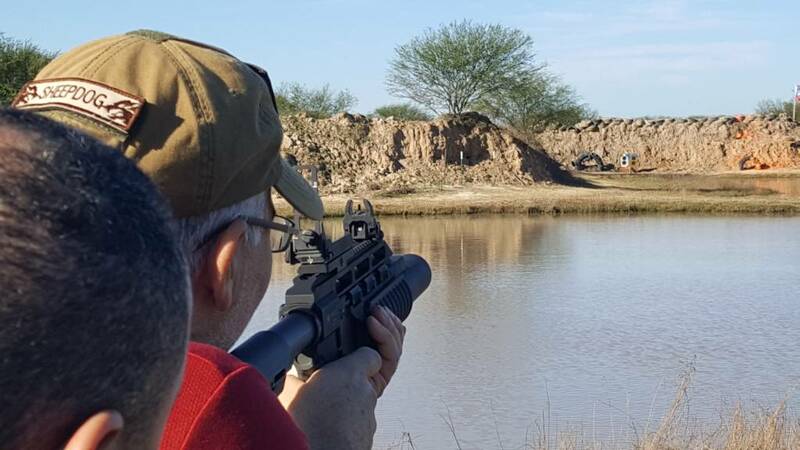 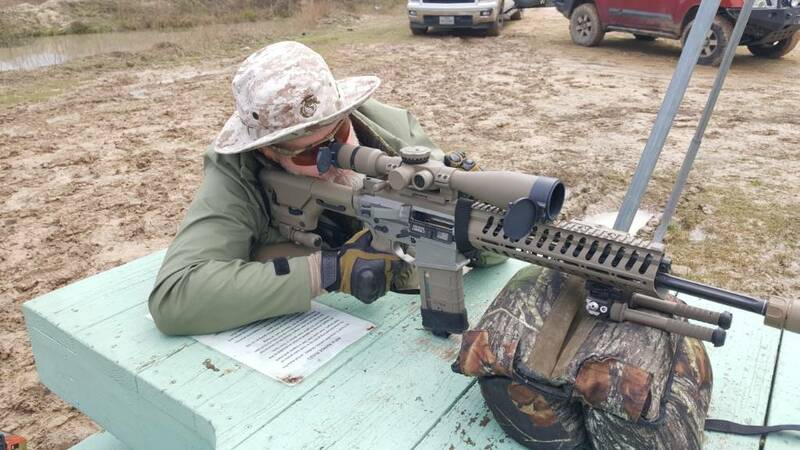 Shooting the M203 40mm after the suppressor was recovered. 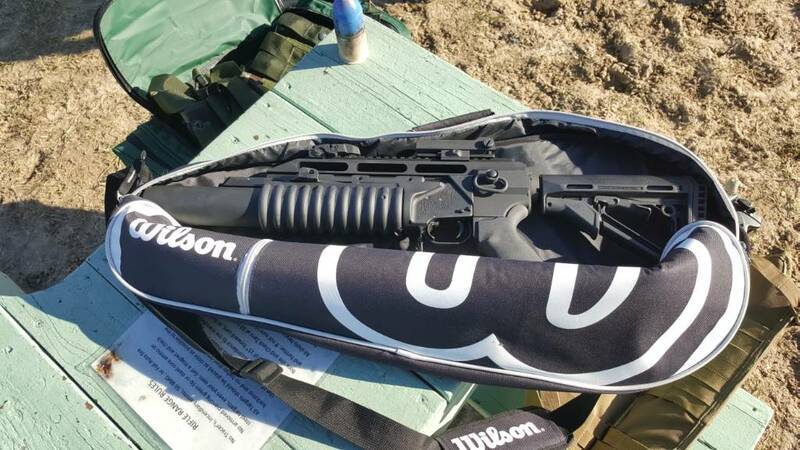 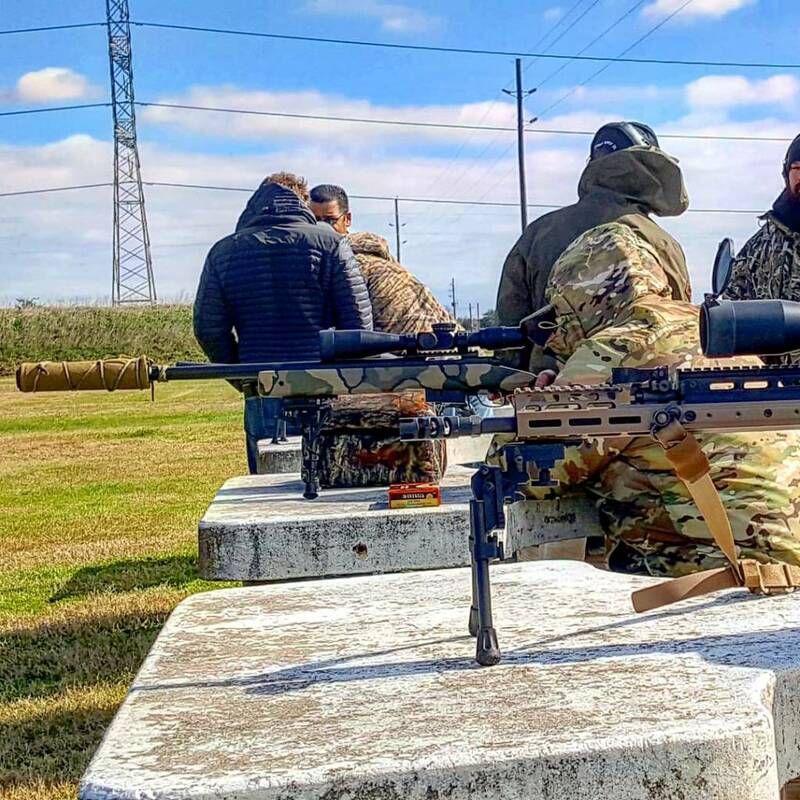 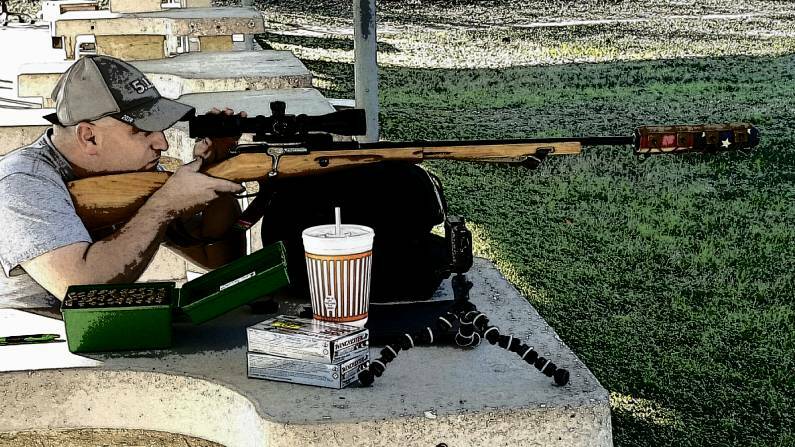 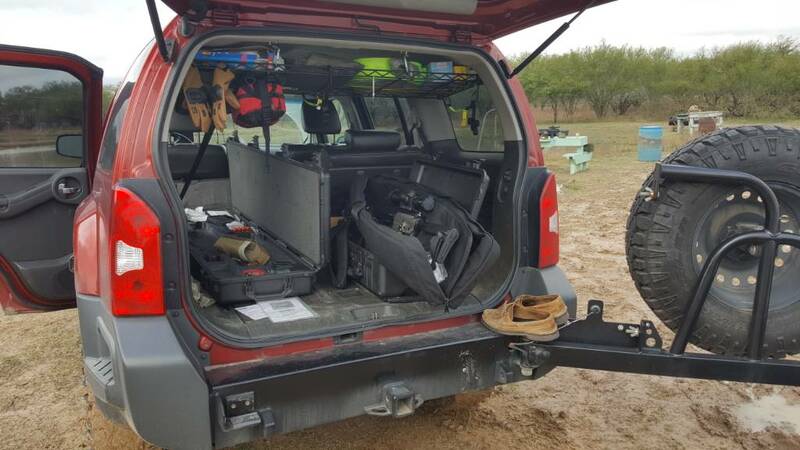 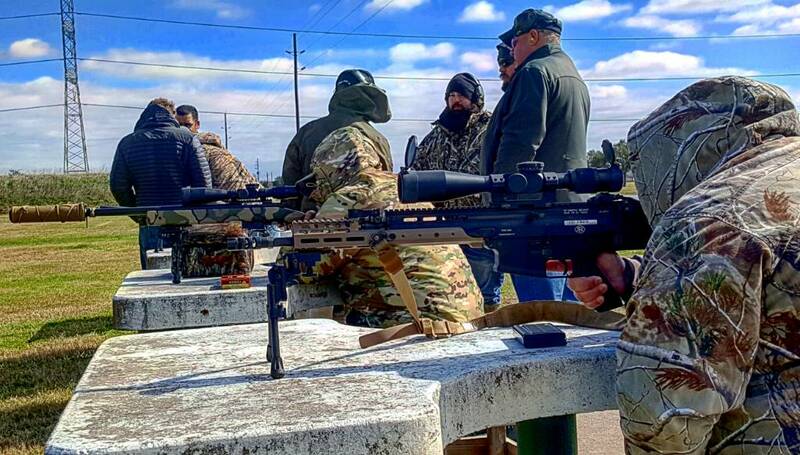 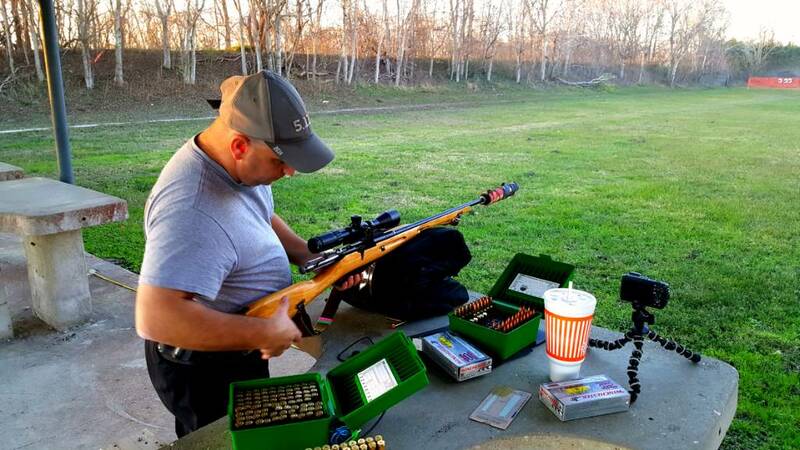 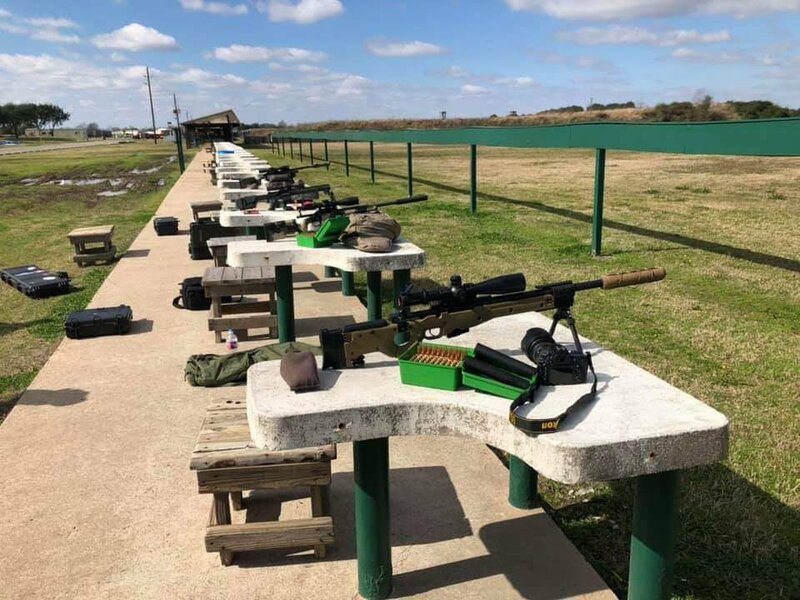 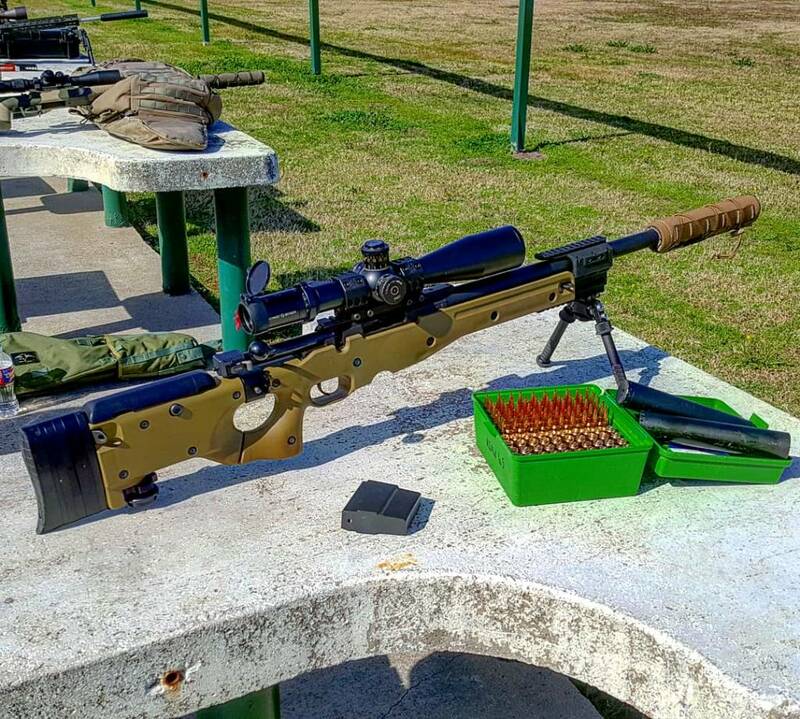 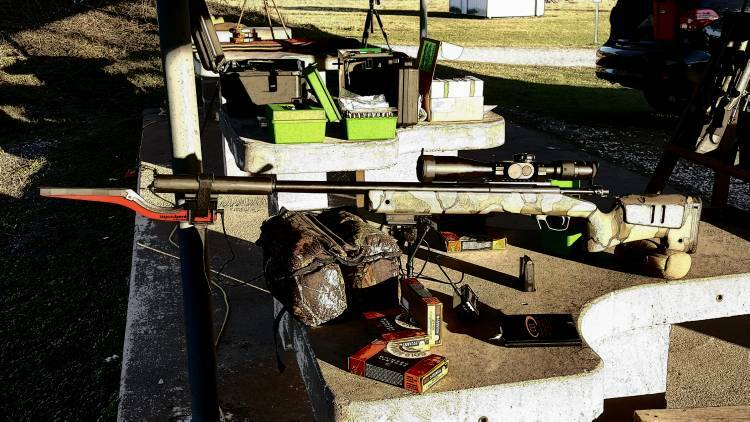 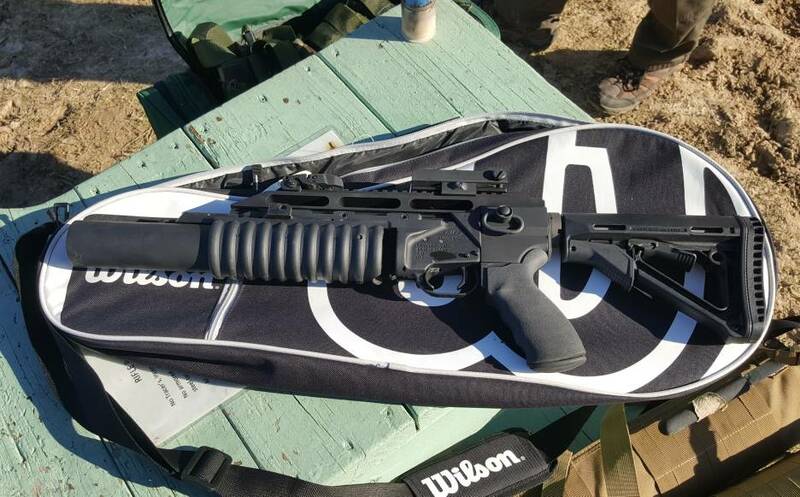 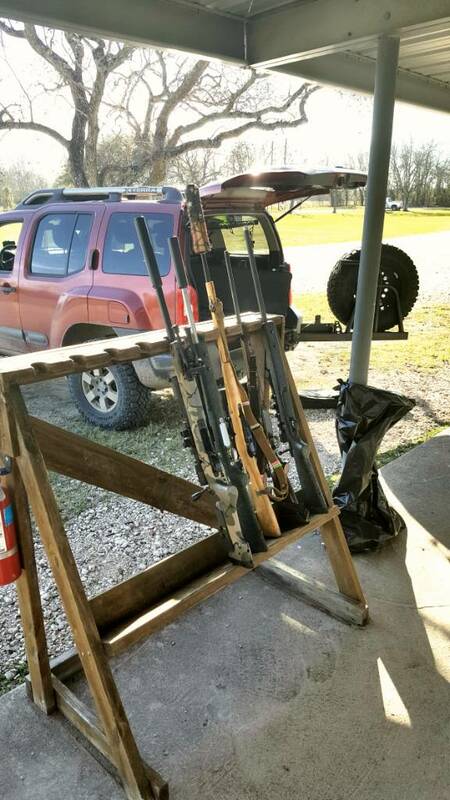 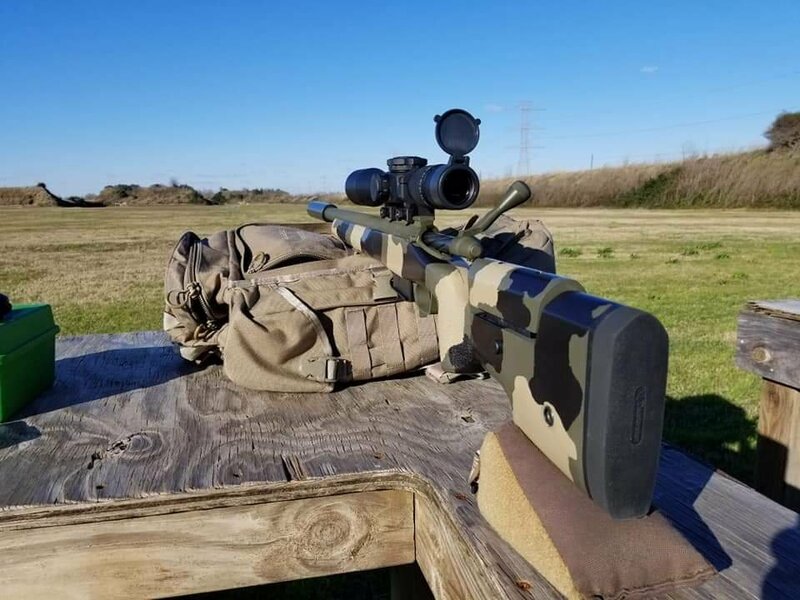 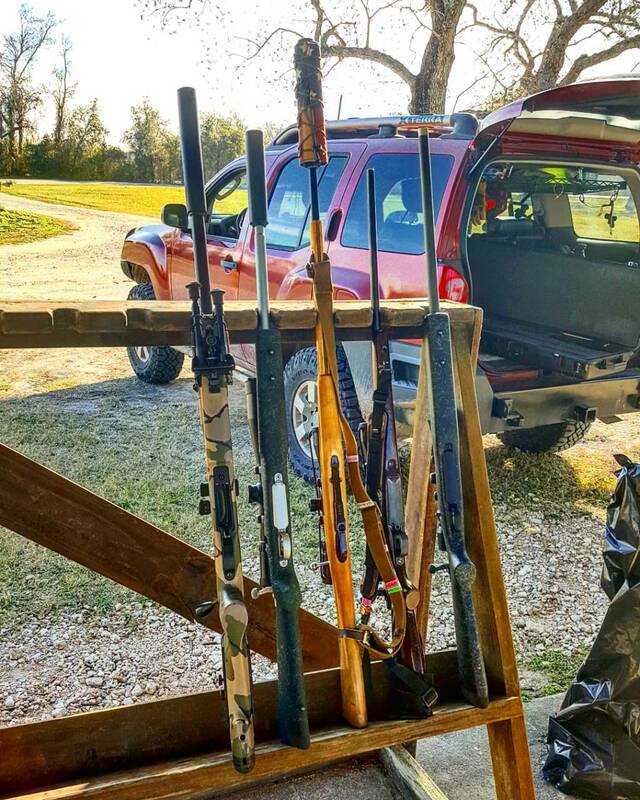 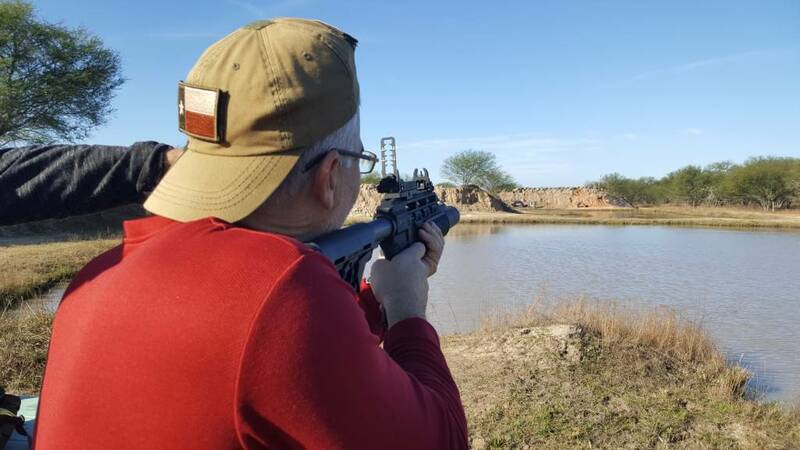 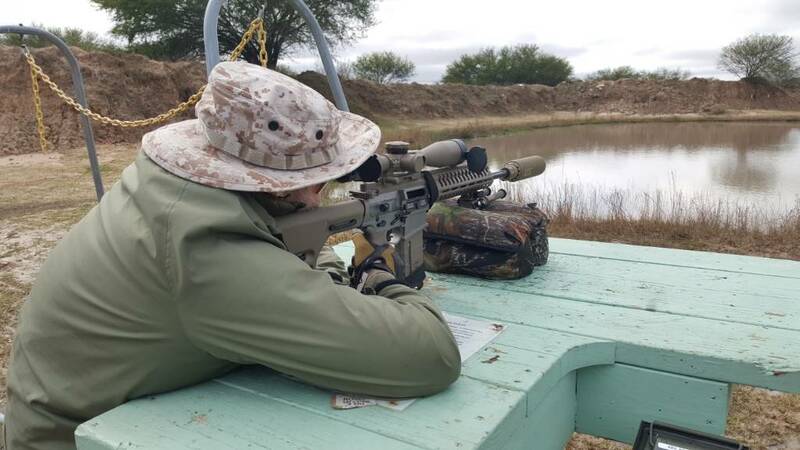 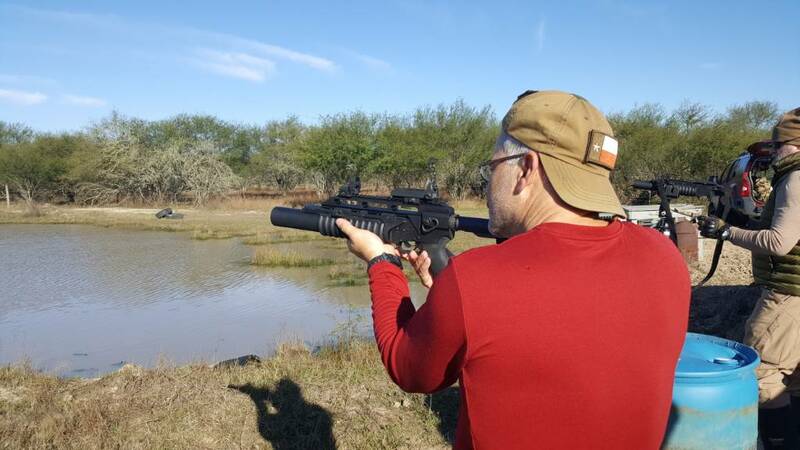 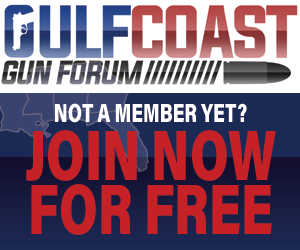 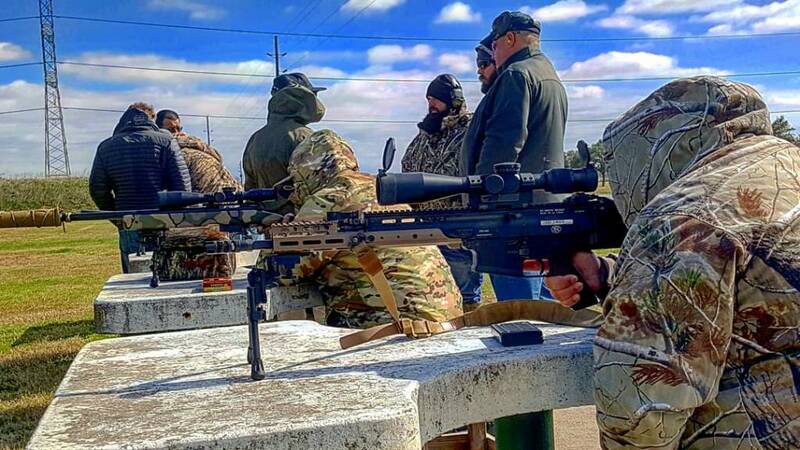 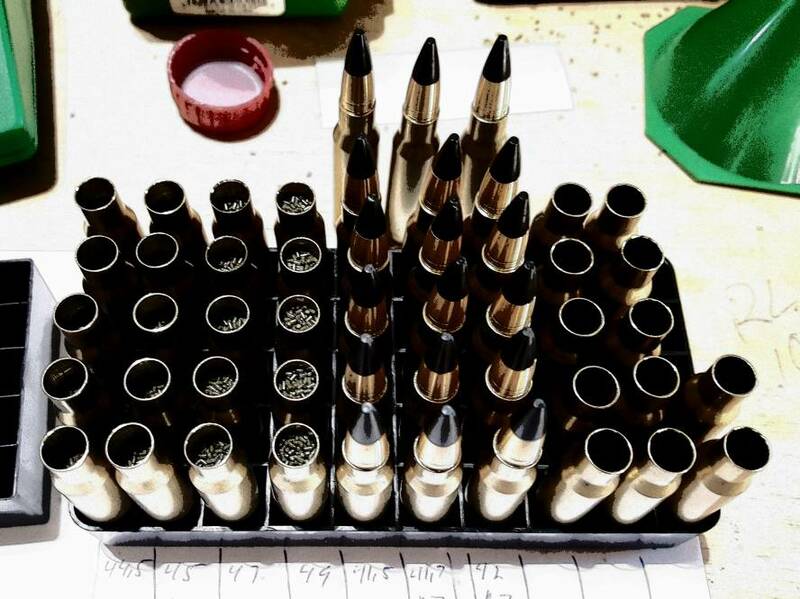 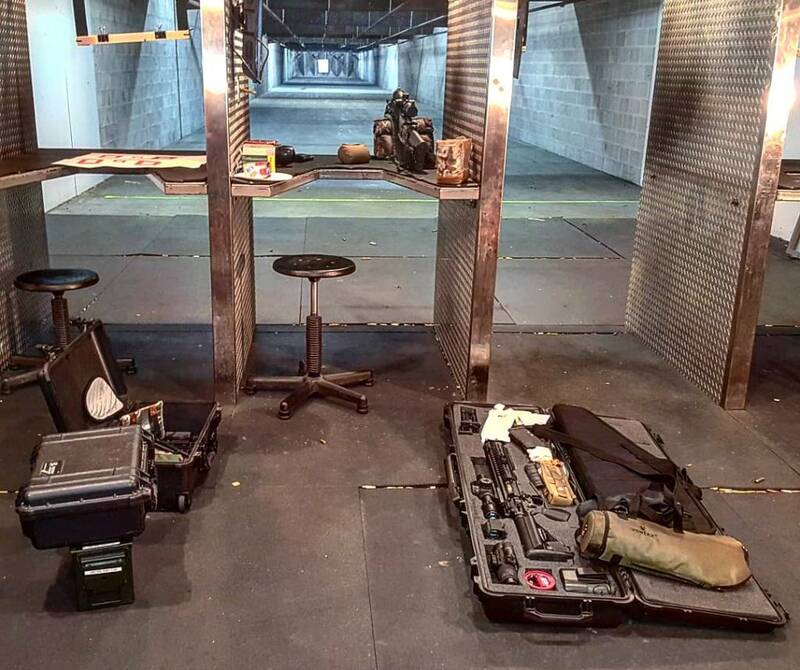 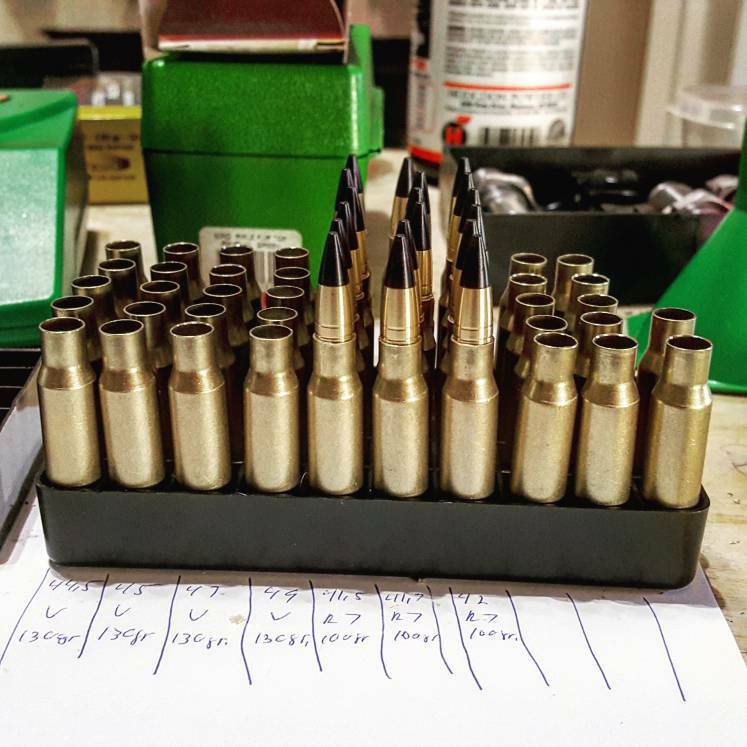 The first range trip didn't happen until late January. 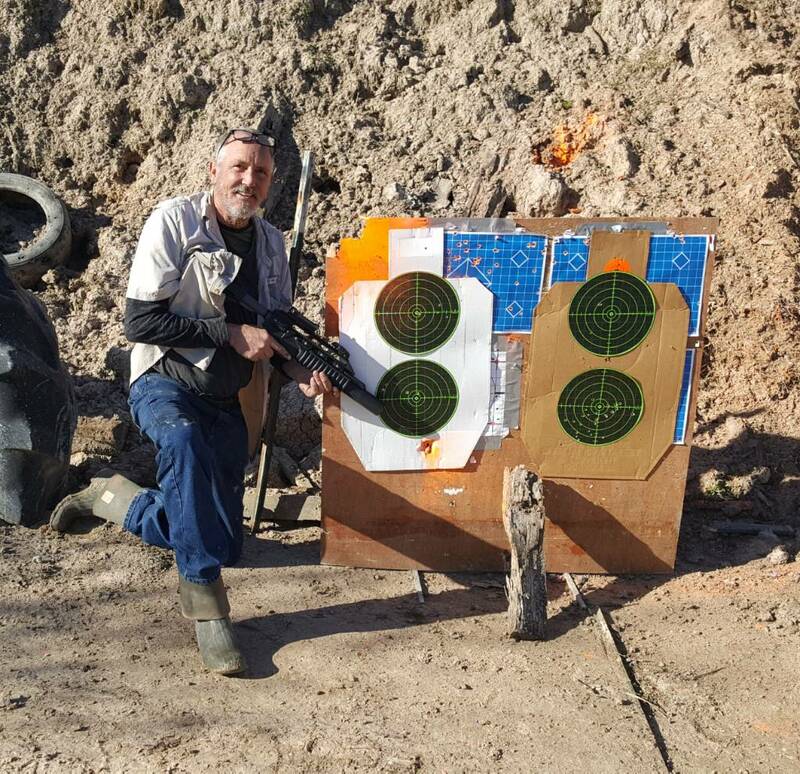 Indoors @shootersstationarms on the 100 yard range. 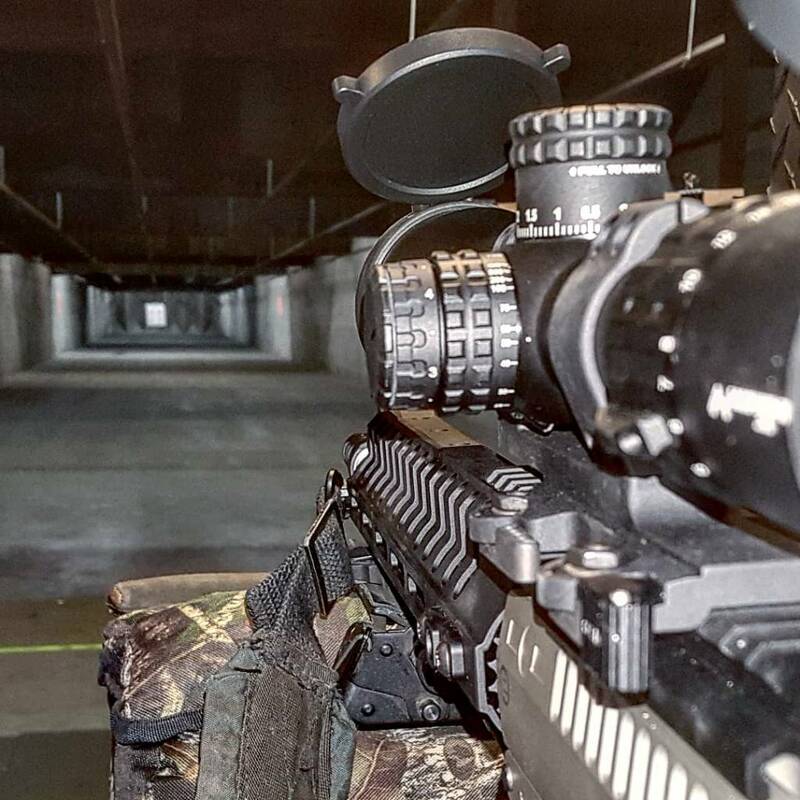 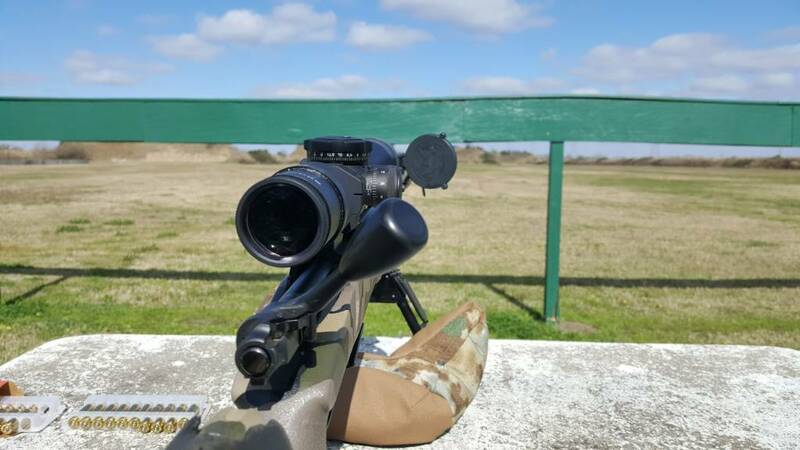 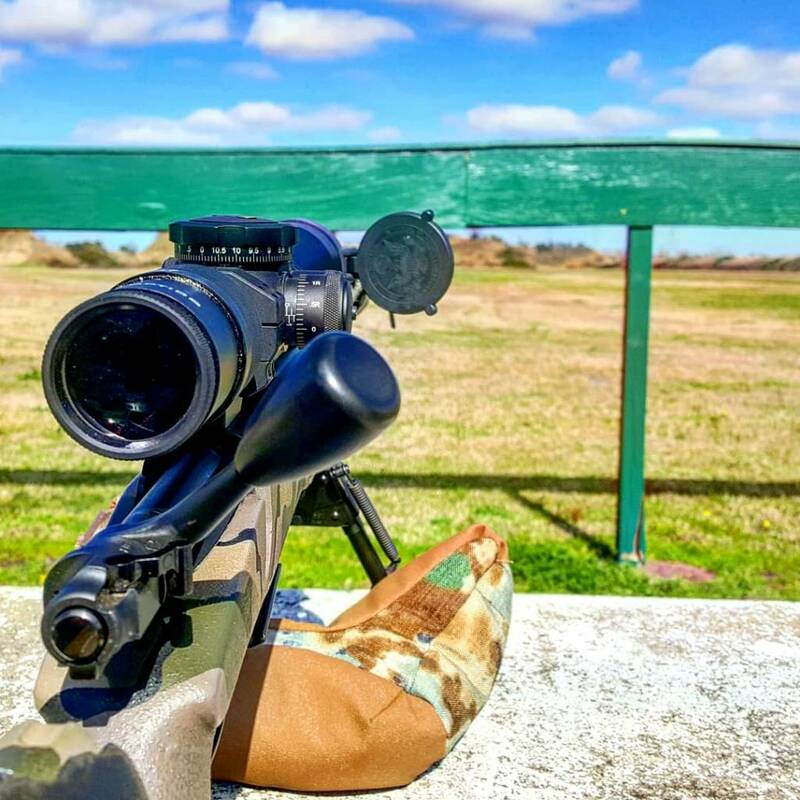 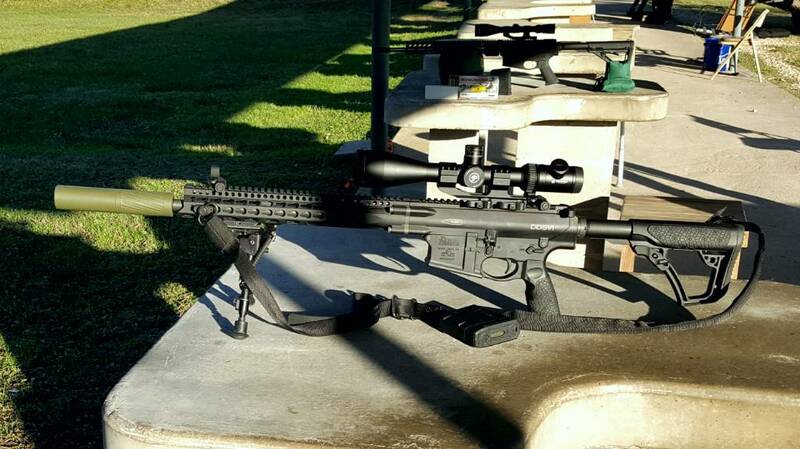 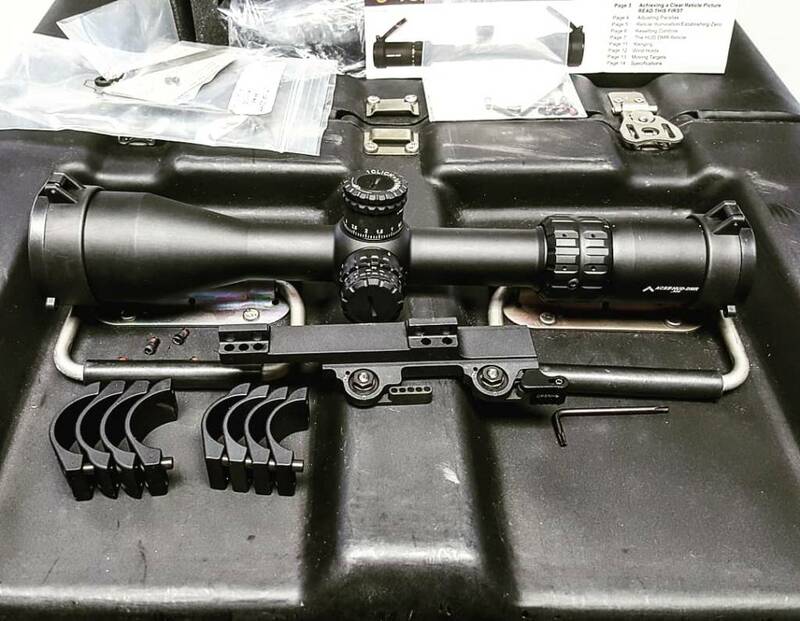 Sighting a @primaryarmsonline 3-18x50mm FFP with the ACSS HUD reticle on the @pofusa Revolution 14.5" .308 in a Larue Mount. 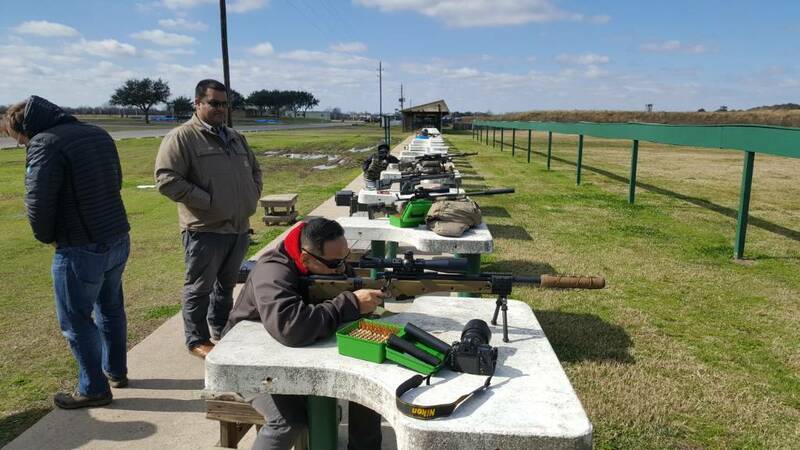 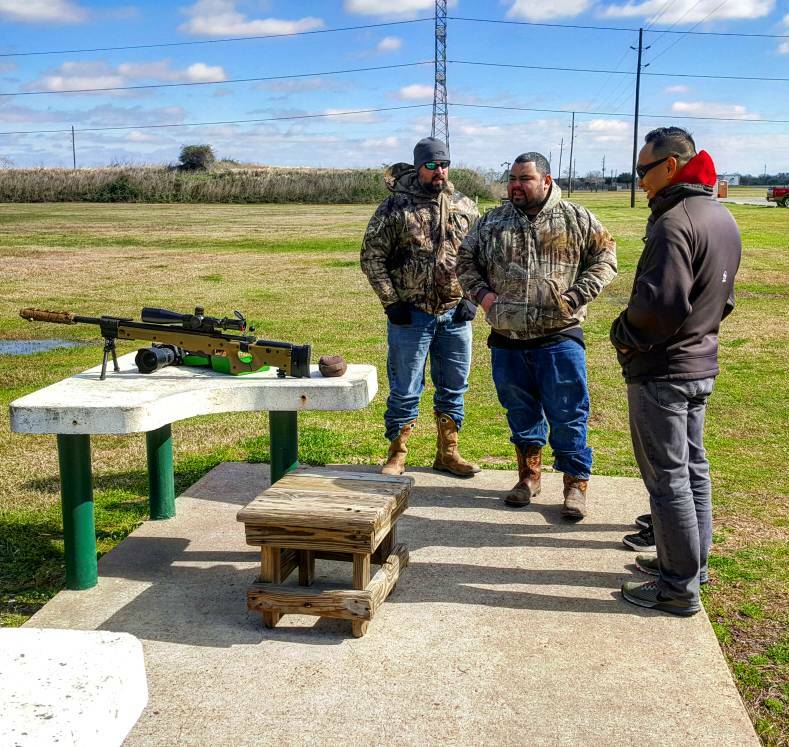 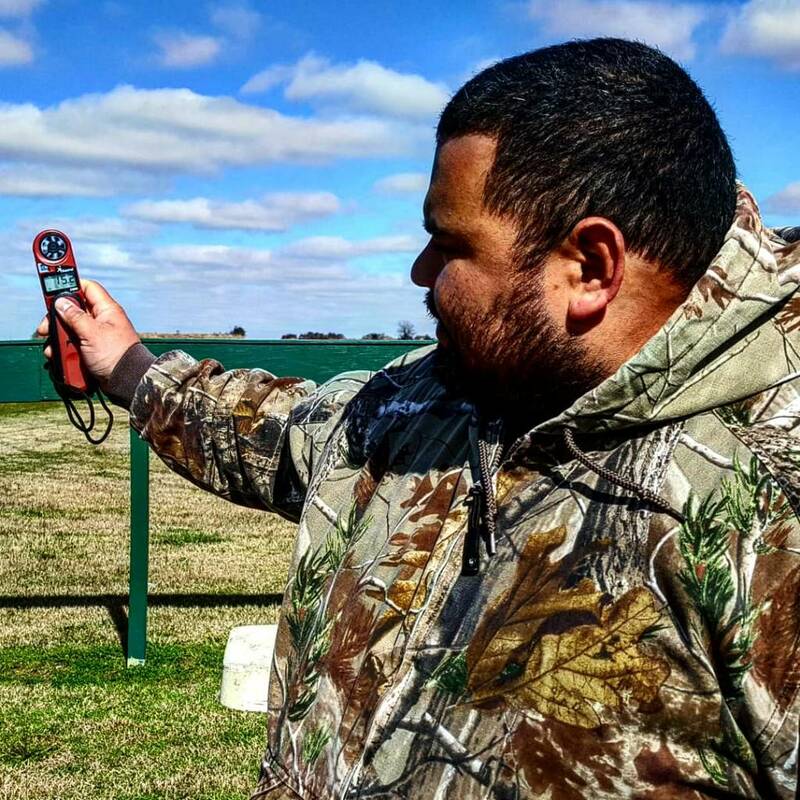 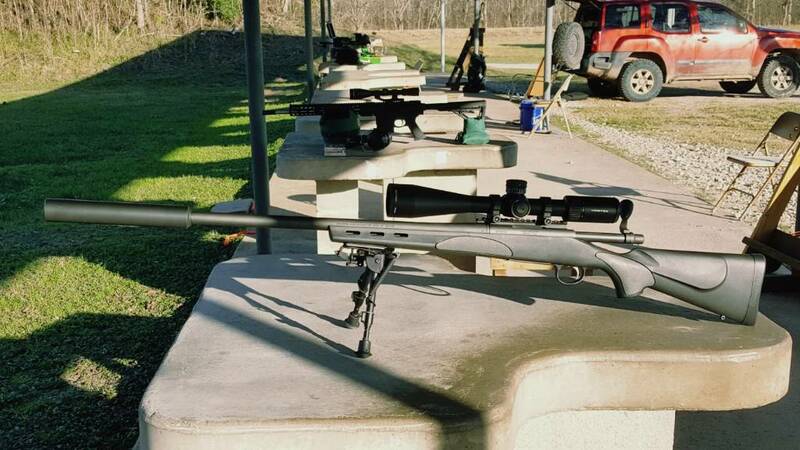 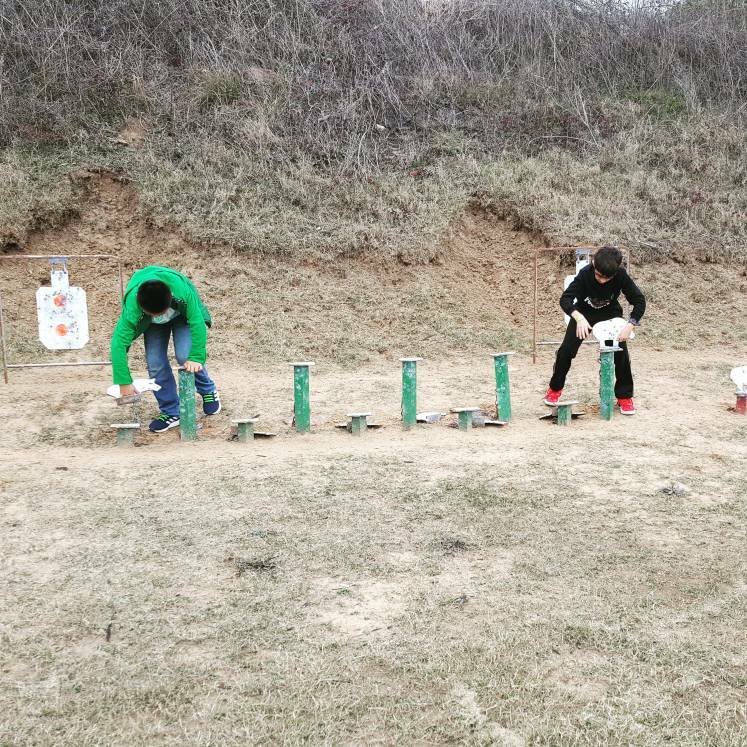 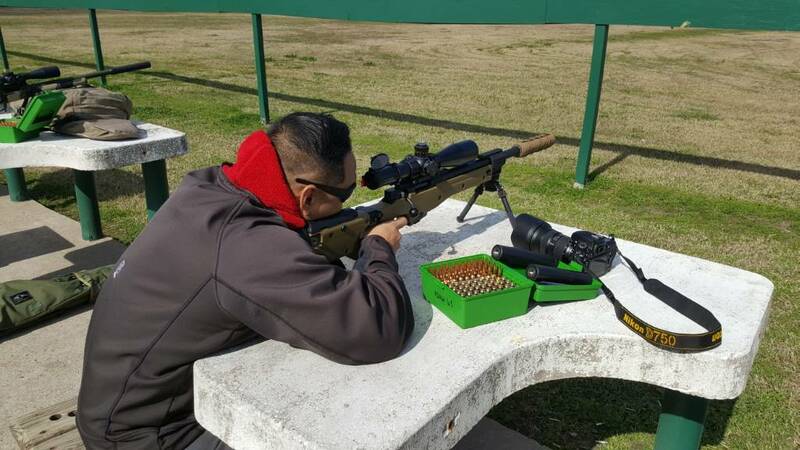 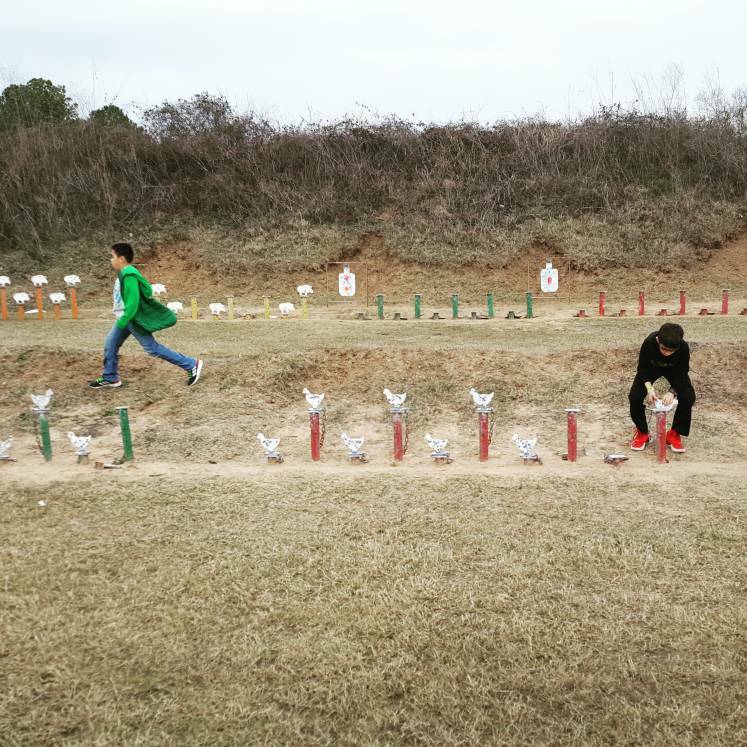 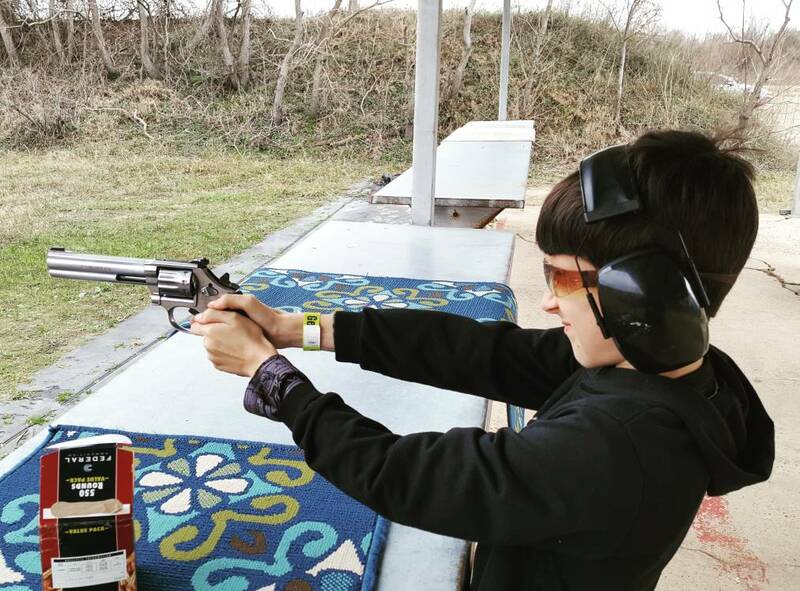 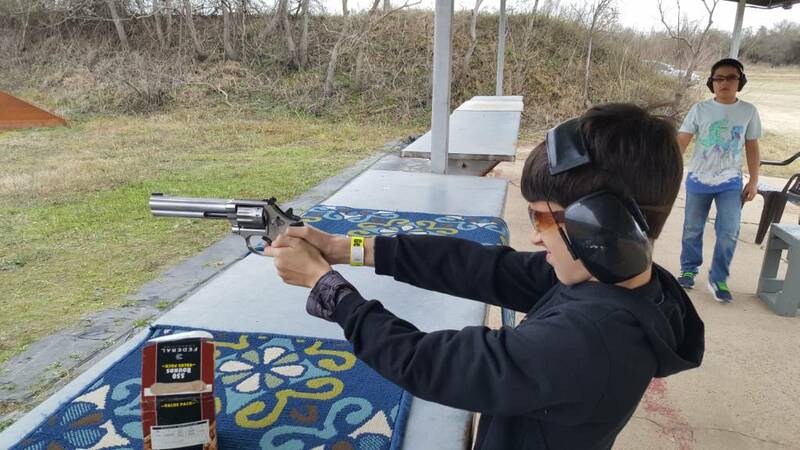 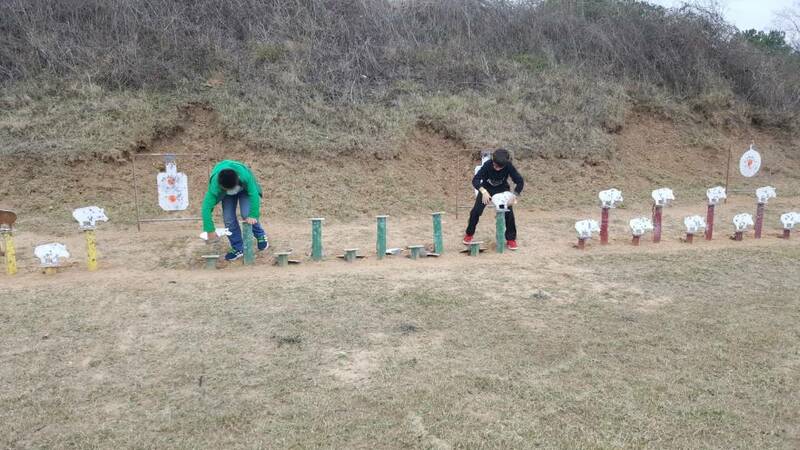 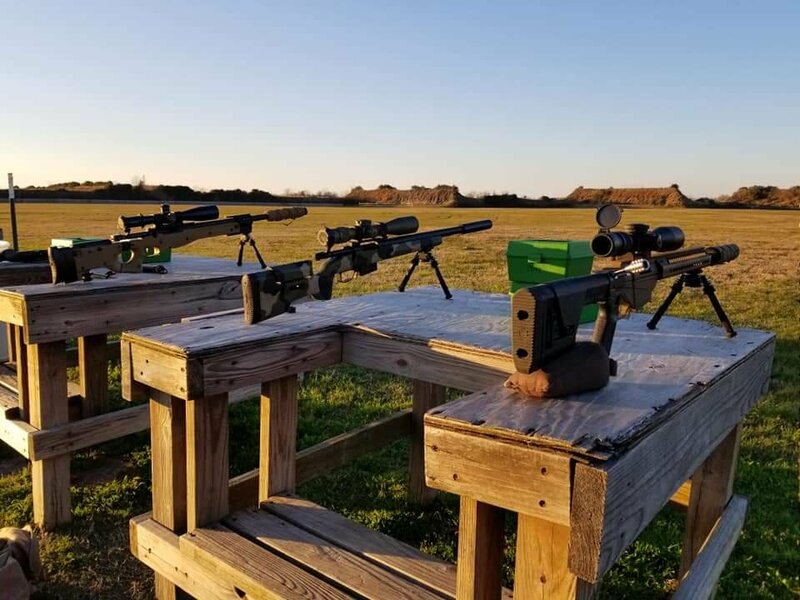 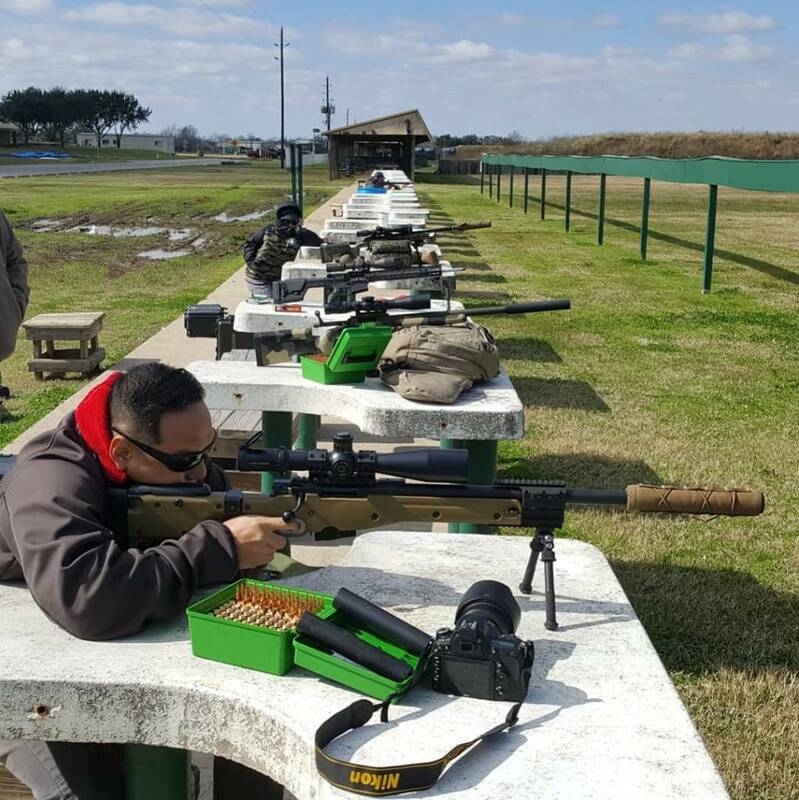 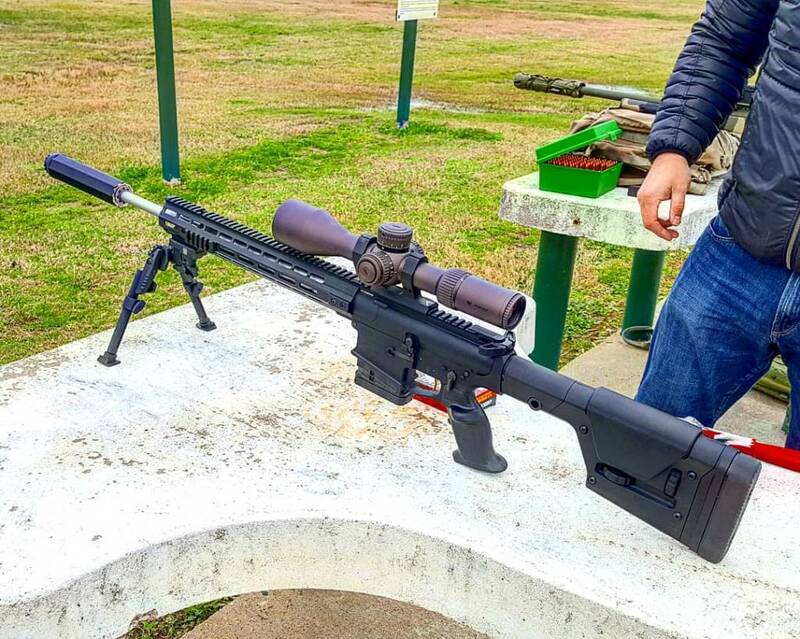 Last Saturday, we went to American Shooting Center for some 400 yard shooting. 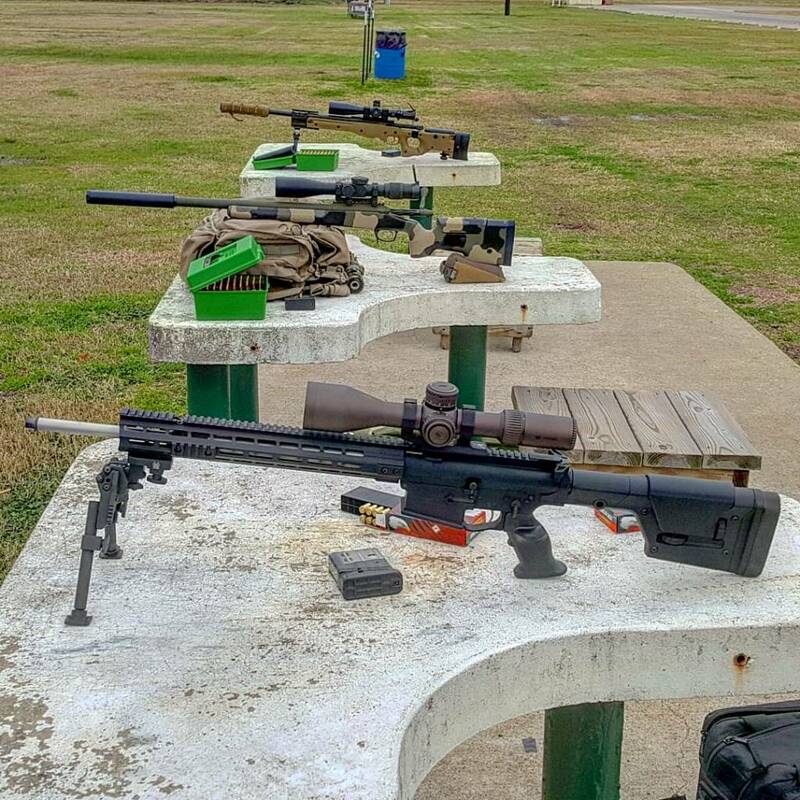 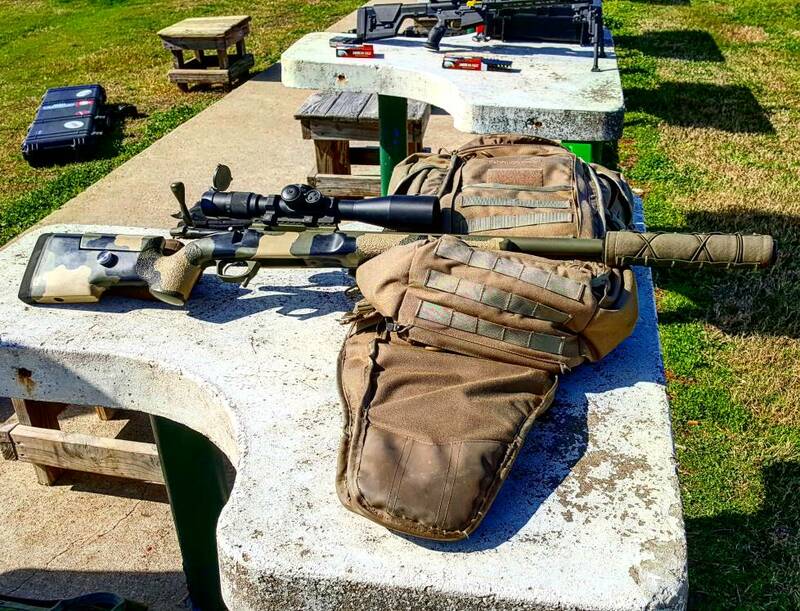 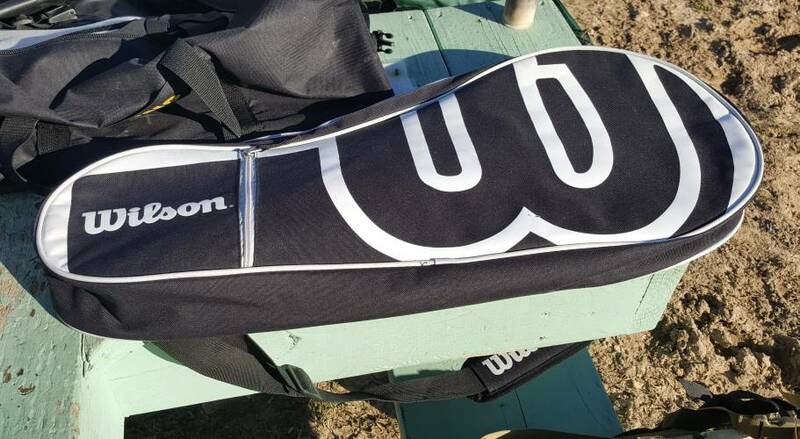 Saturday at the Range! 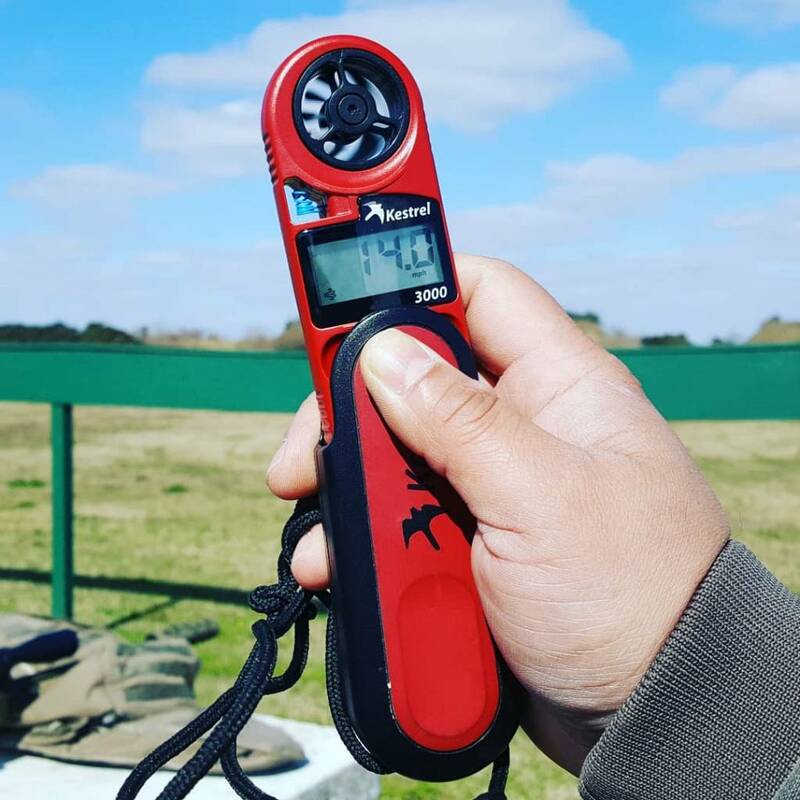 15mph wind, 45f weather. 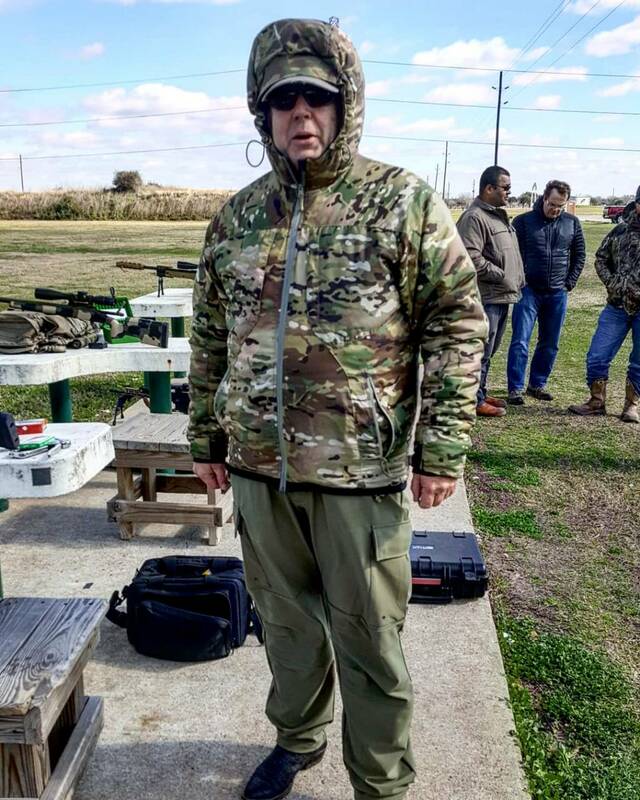 Enjoying my @ottegear cold weather gear on this cold windy day! 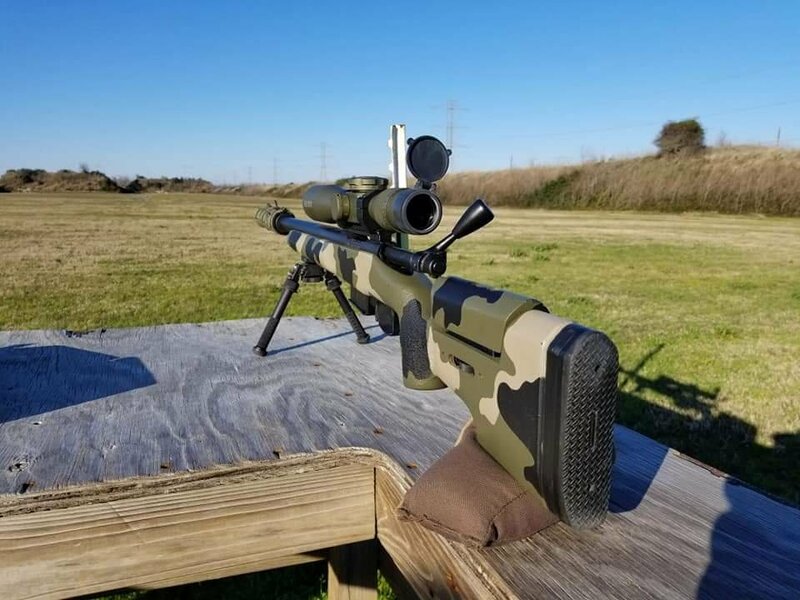 We are shooting on the 400yd line with the FN SPR in a McMillan A5, a Jewel Trigger w/ a Rock creek 1:11.25 twist and an @cruxsuppressors Archangel and Rifles Only HAD suppressor cover. 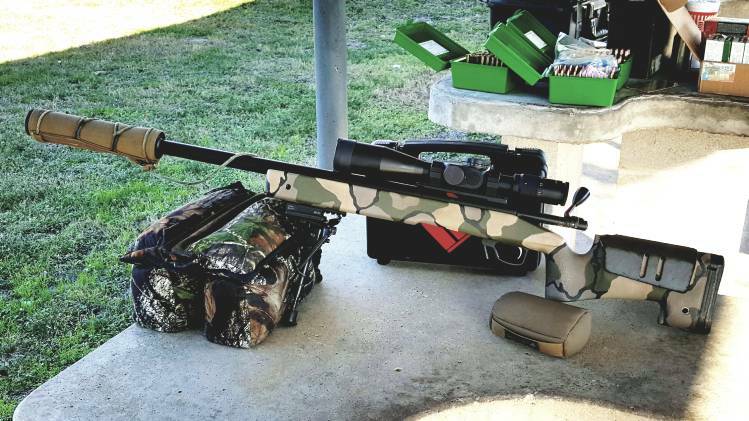 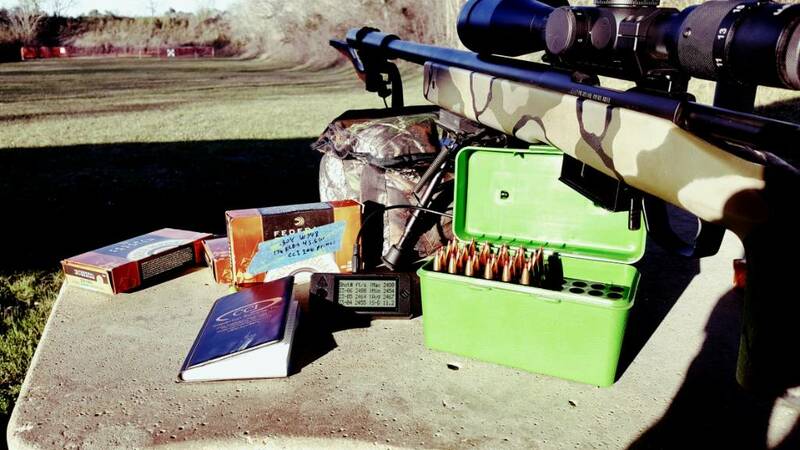 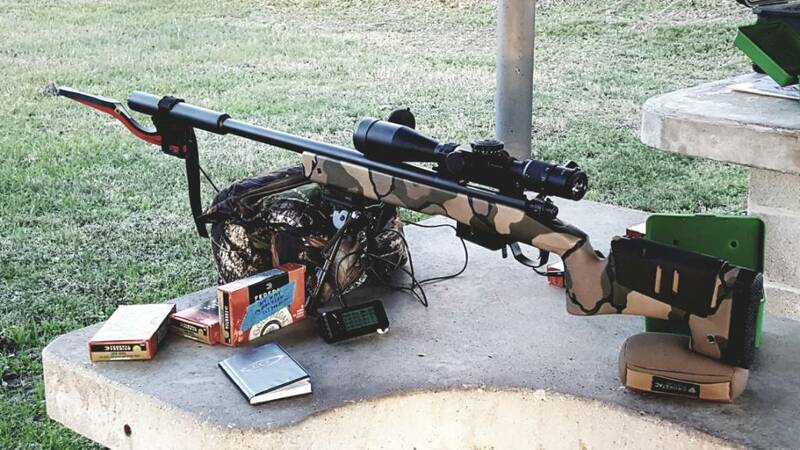 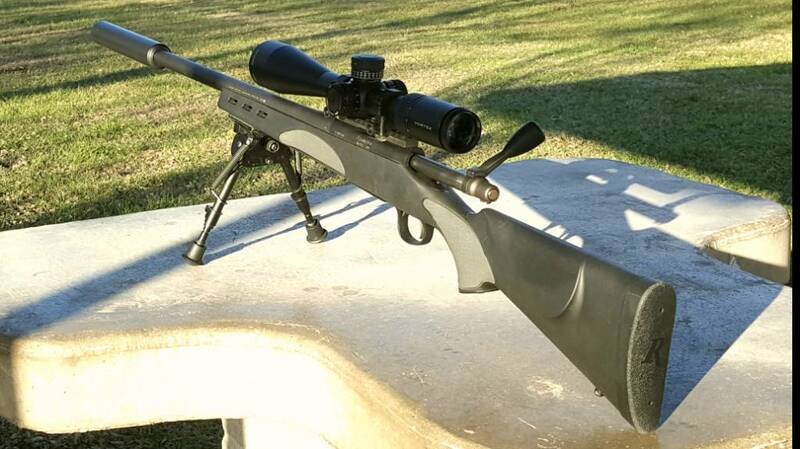 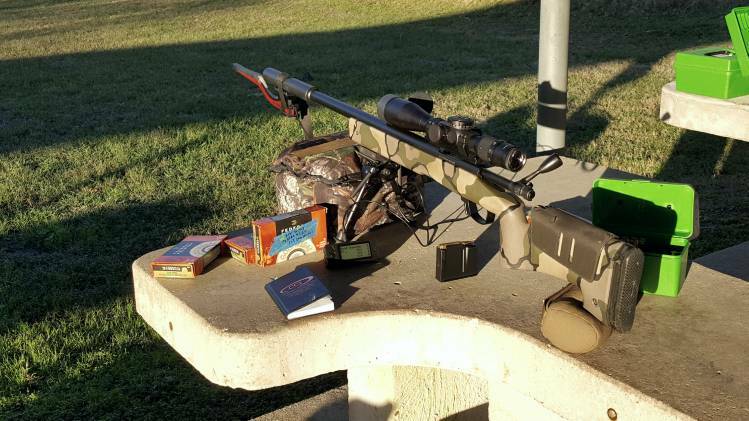 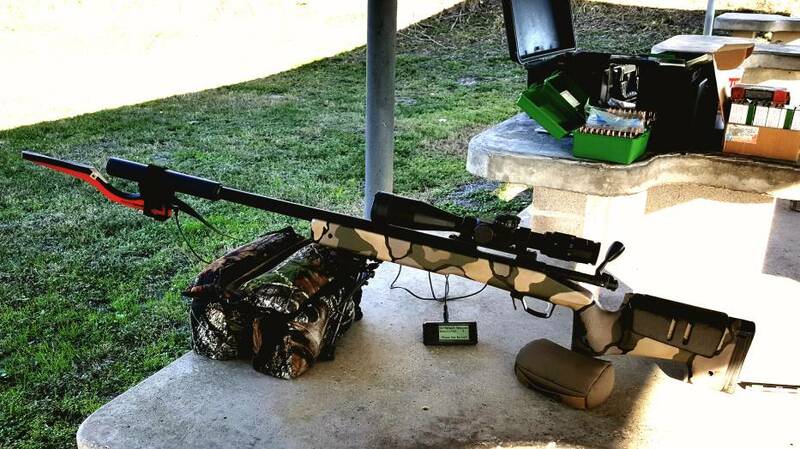 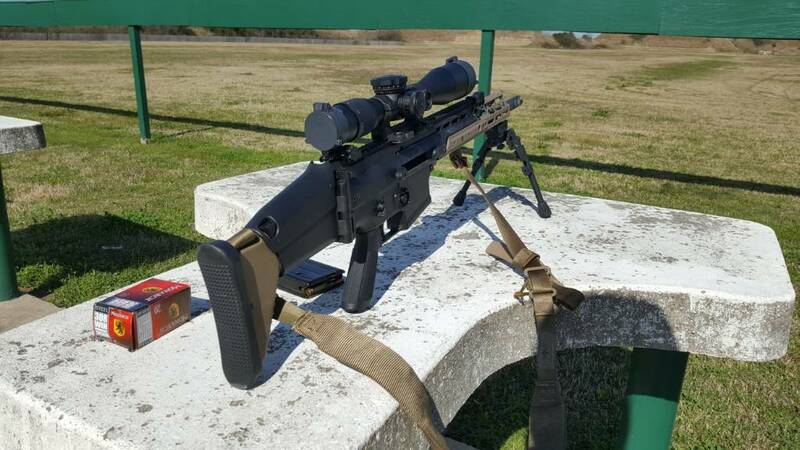 A Gap Crusader with v2 action upgrade, jewel trigger, threaded, 6.5 creedmoor w/ a Bartlien 18.5 barrel. 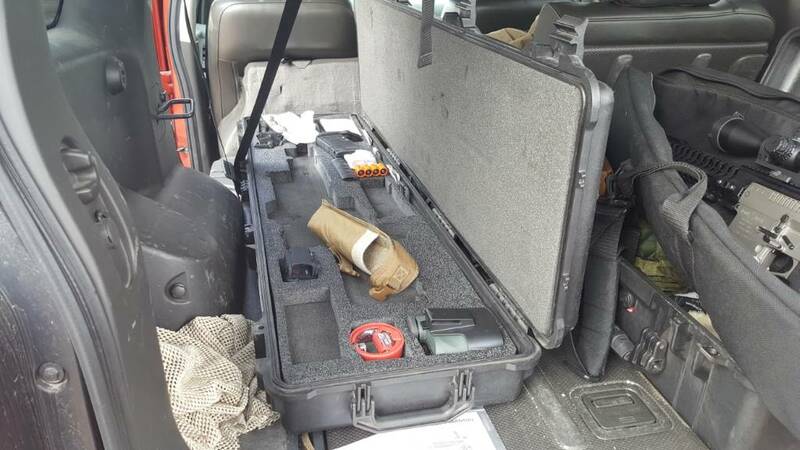 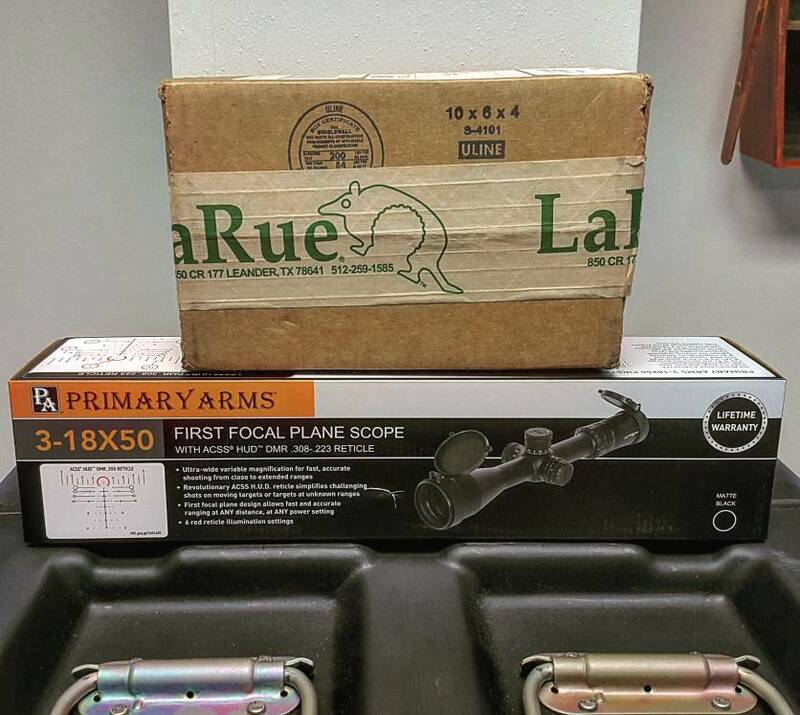 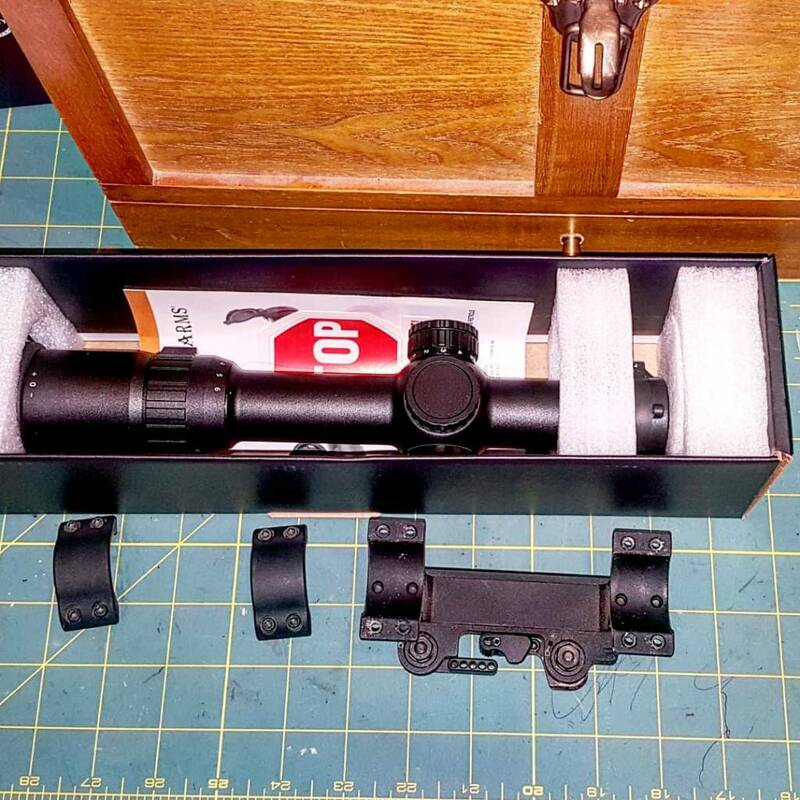 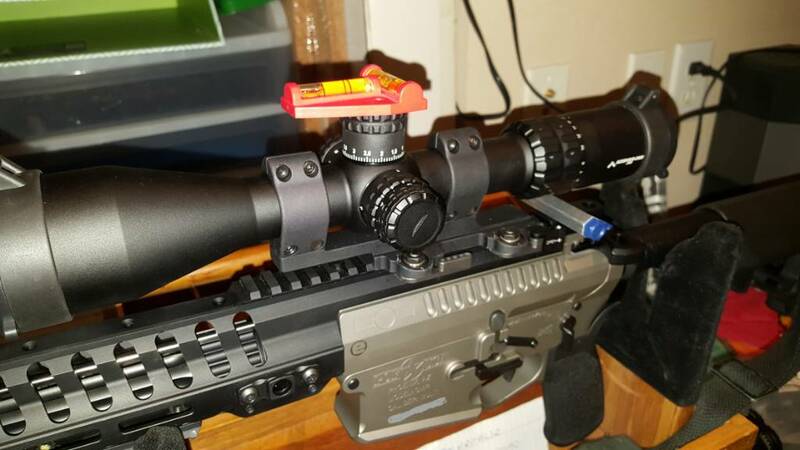 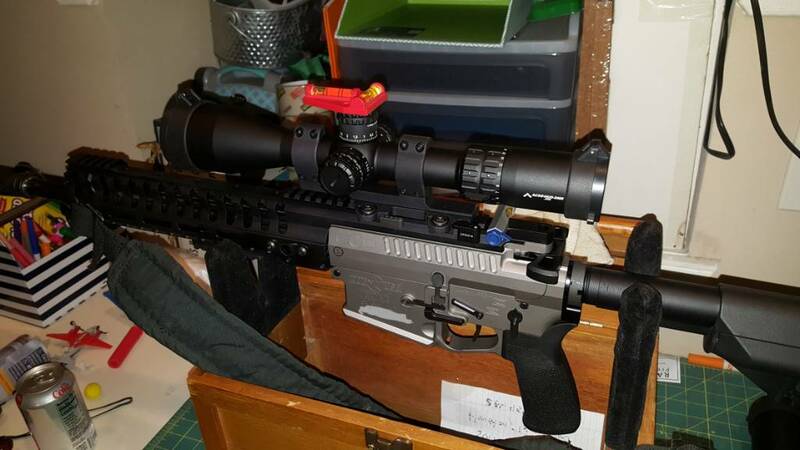 The scope is a US Optics 3.2-17. 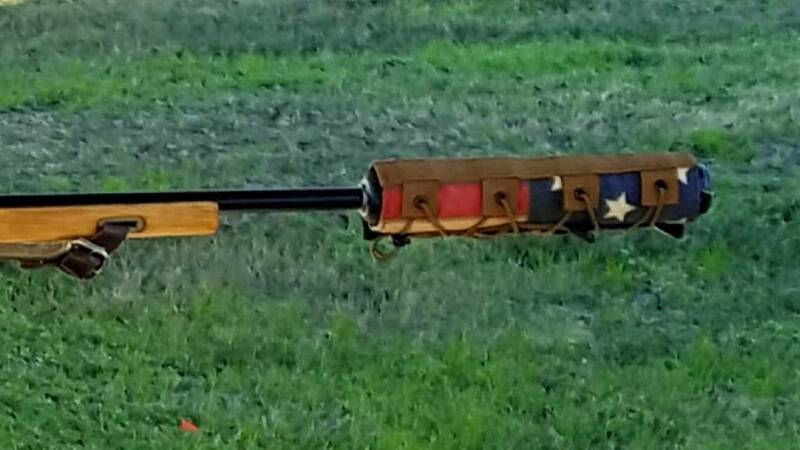 Everything in one spot . . . . @gunformz insert and the FN SPR in a McMillan A5, a Jewel Trigger w/ a Rock creek 1:11.25 twist and an @cruxsuppressors Archangel and @rauchprecision American flag suppressor cover. 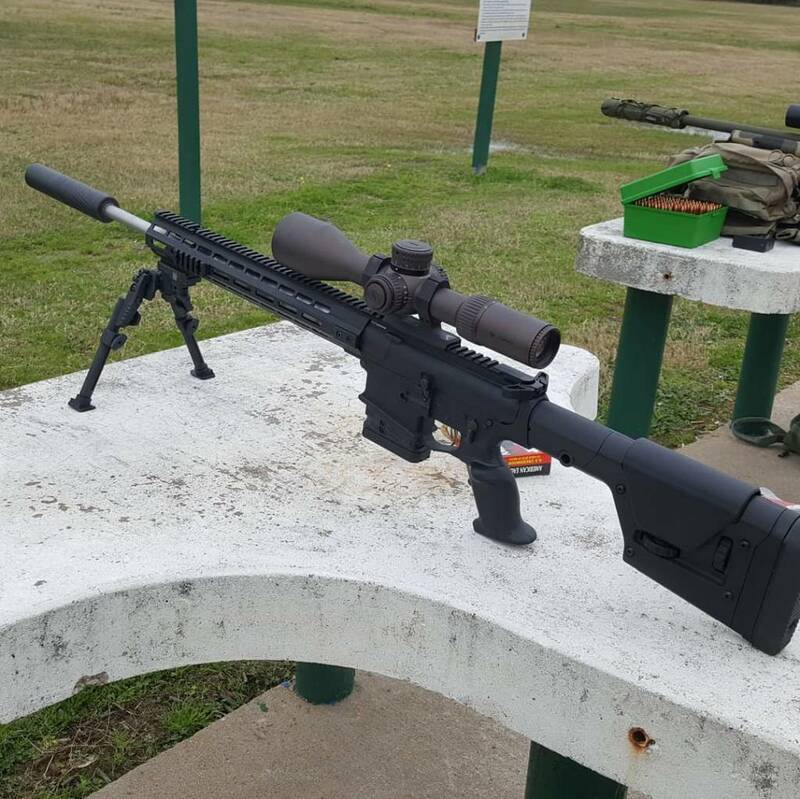 15mph wind, 45f weather. 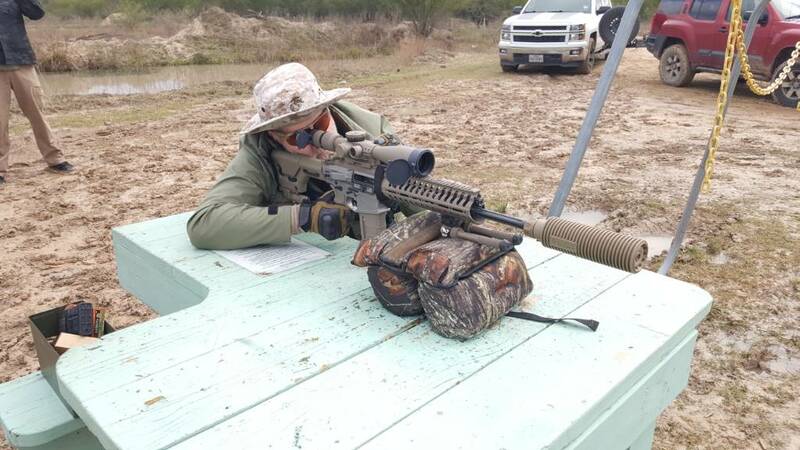 Enjoying my @ottegear cold weather gear on this cold windy day! 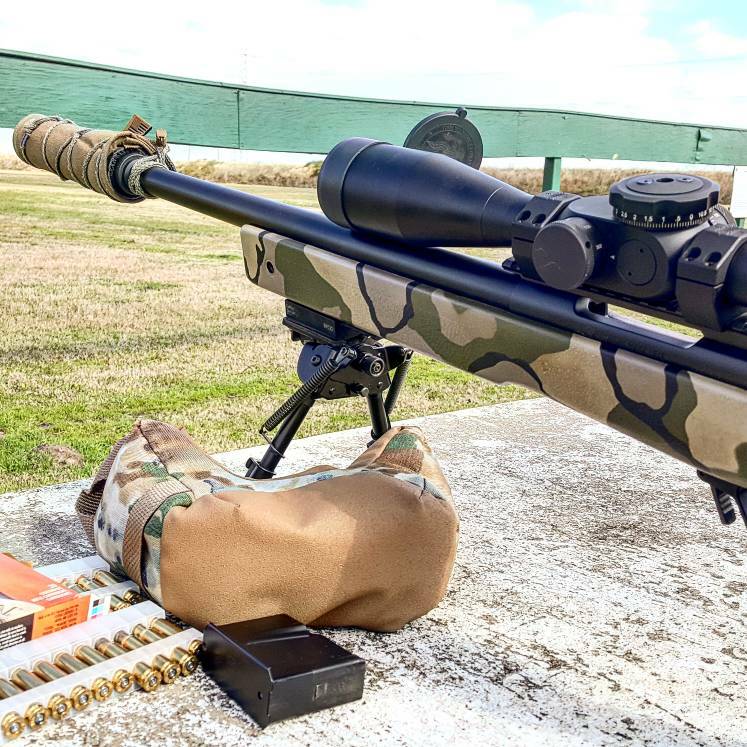 We are shooting on the 400yd line with the FN SPR in a McMillan A5, a Jewel Trigger w/ a Rock creek 1:11.25 twist and an @cruxsuppressors Archangel and @rifles_only HAD suppressor cover. 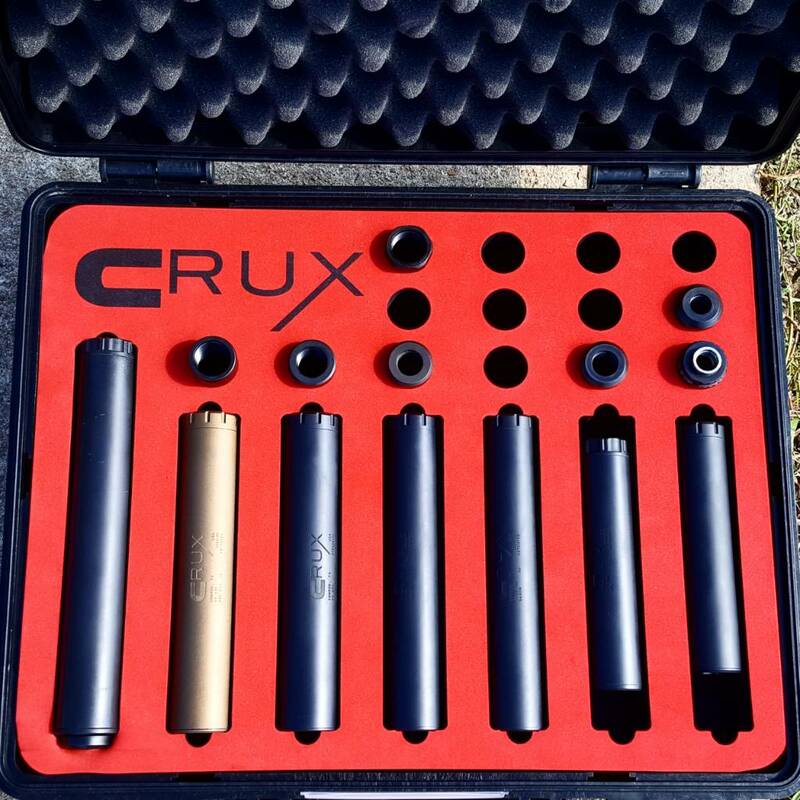 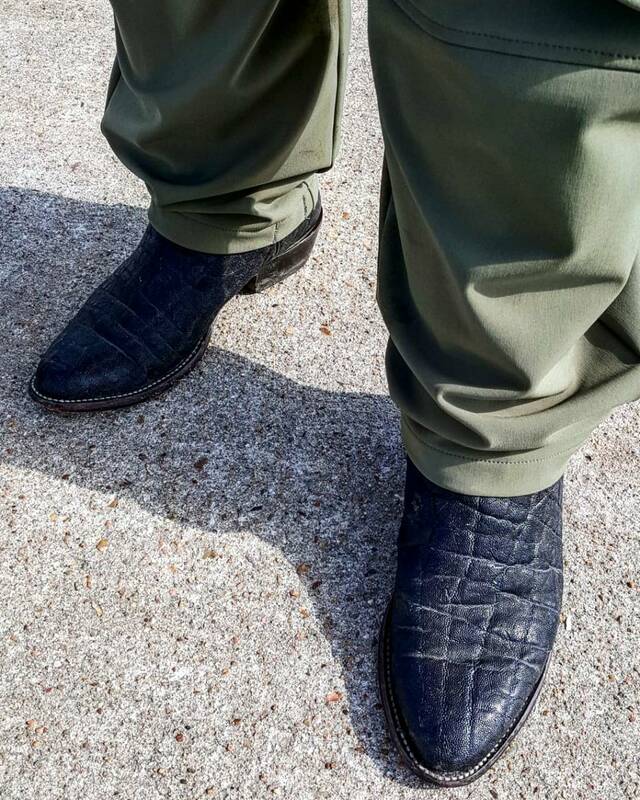 Crux starter pack . 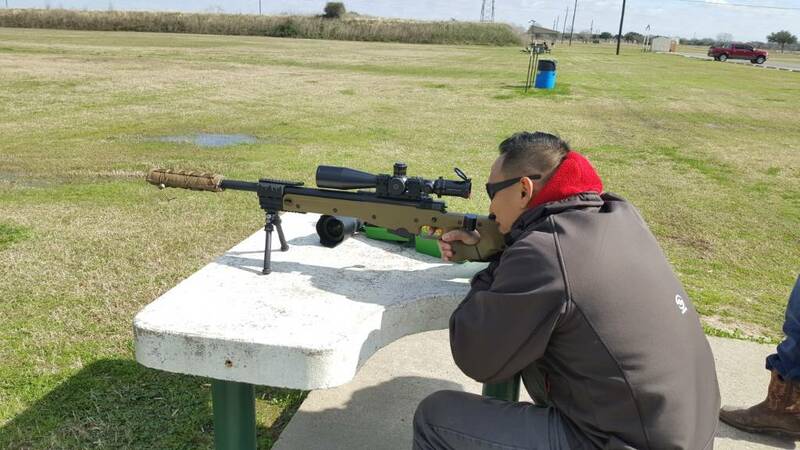 . . You get a suppressor, and you get a suppressor. . Everyone. . . .
@julio_lazy21 spotting for me on the 400yd line with a SCAR 17 and an @usoptics_official scope. 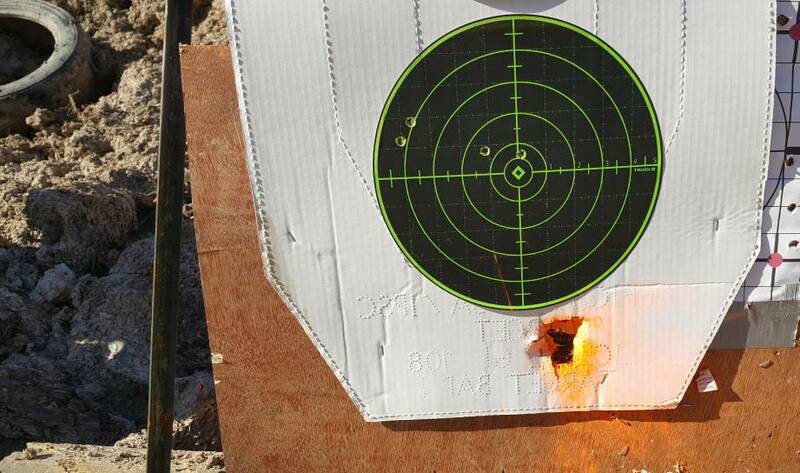 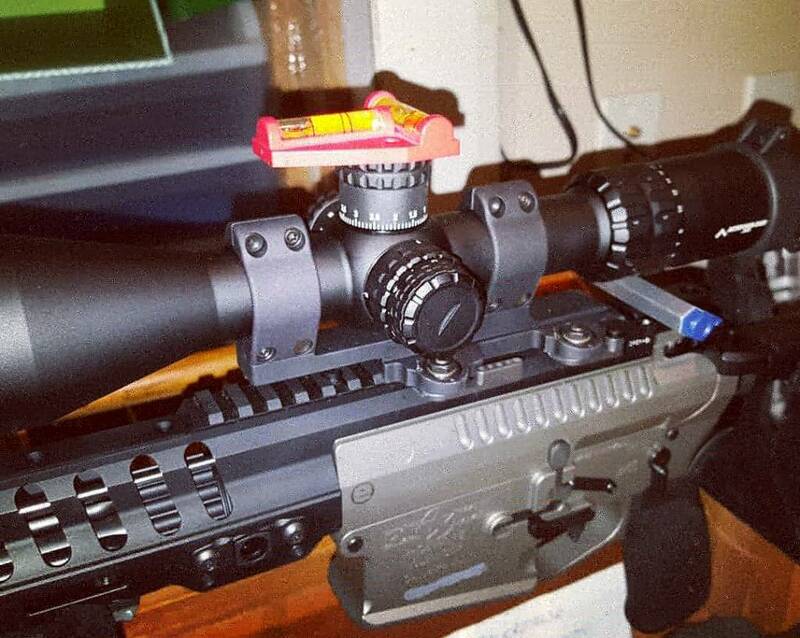 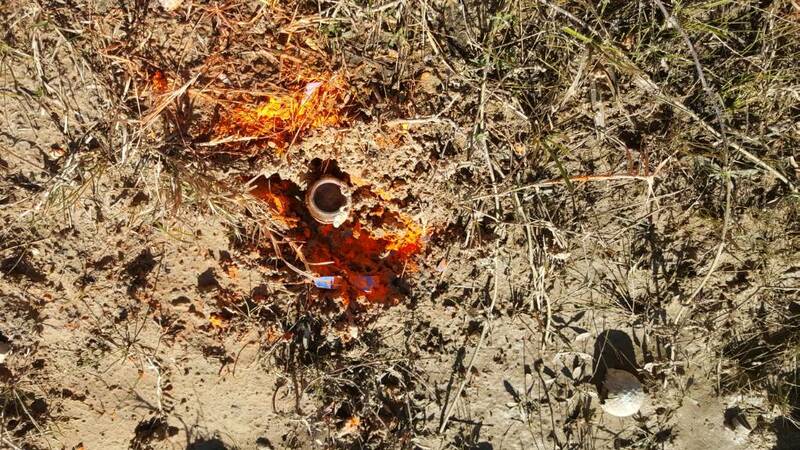 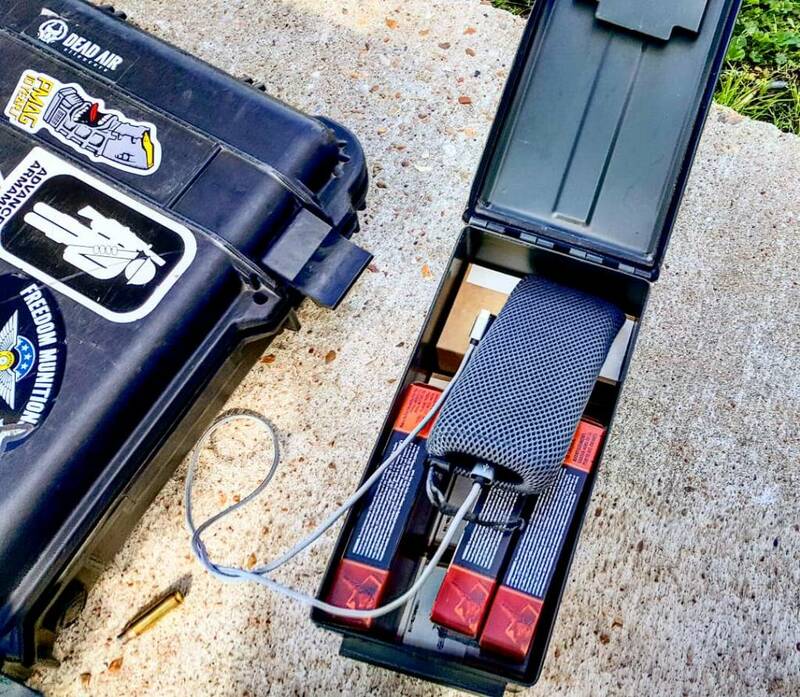 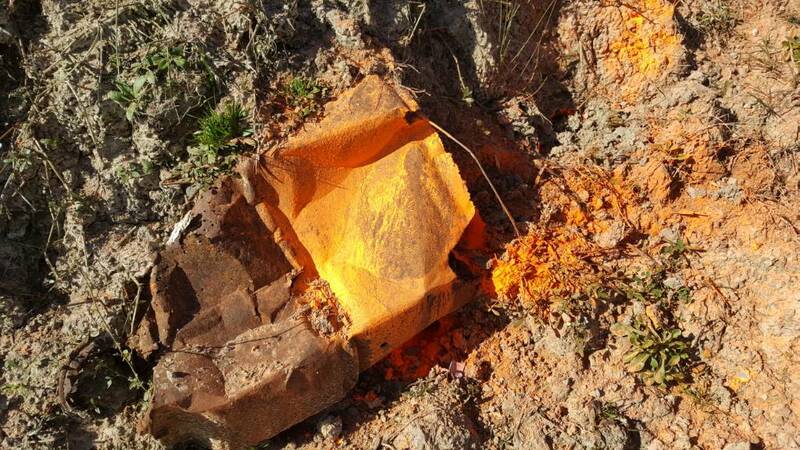 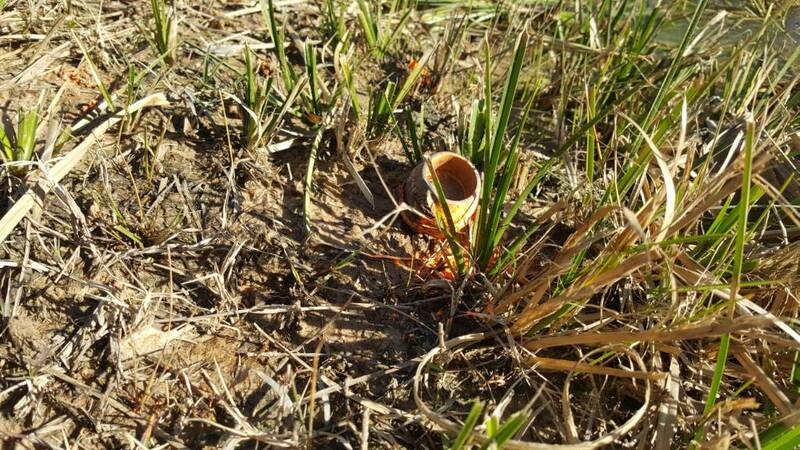 Used the @thunderbirdlongrange Tacky Sack to get a laser on the plate at 400 yards when its blowing 15 to 20mph? 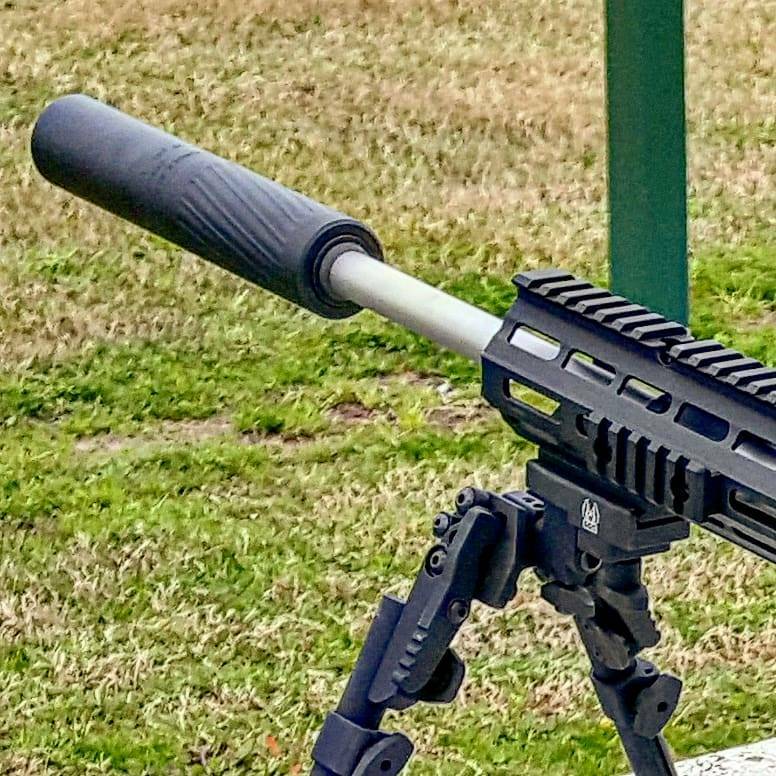 The FN SPR in a McMillan A5, a Jewel Trigger w/ a Rock creek 1:11.25 twist and an @cruxsuppressors Archangel and @rifles_only HAD suppressor cover suppressor cover. 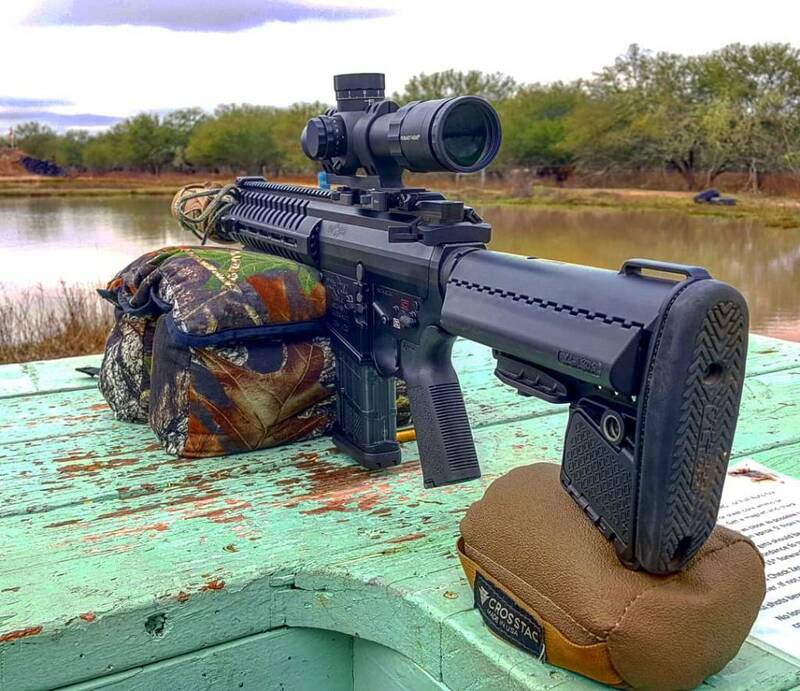 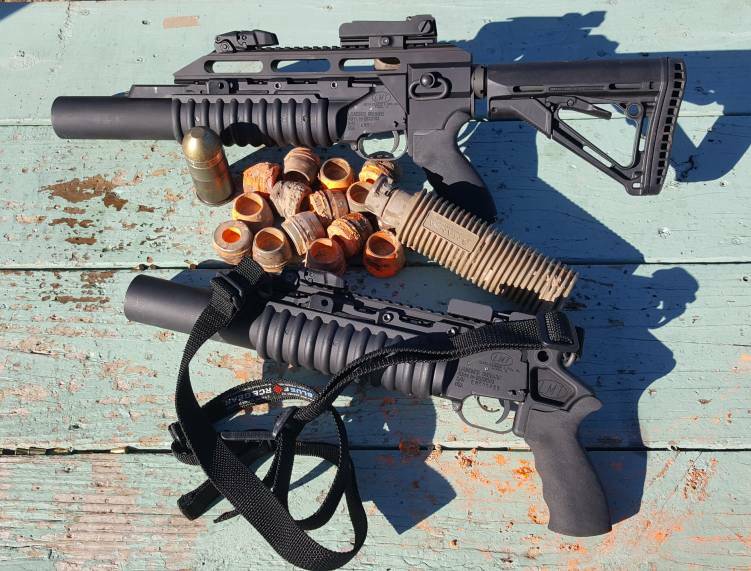 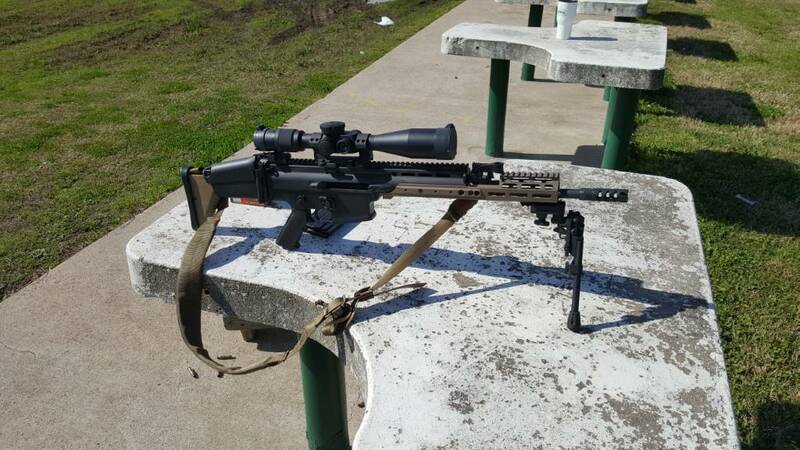 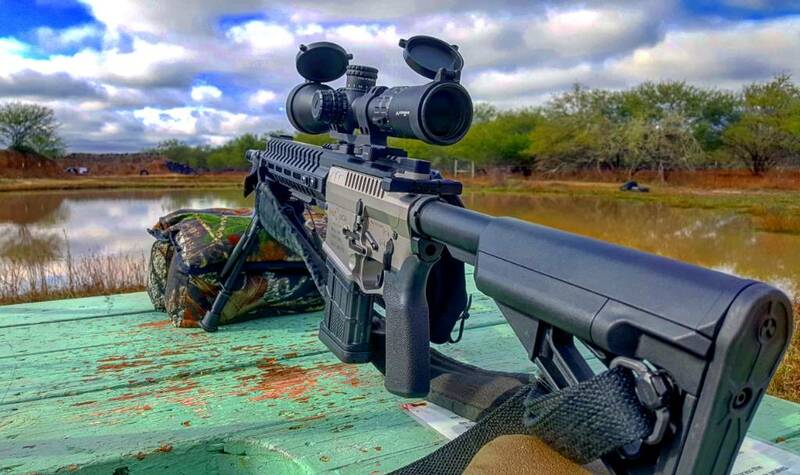 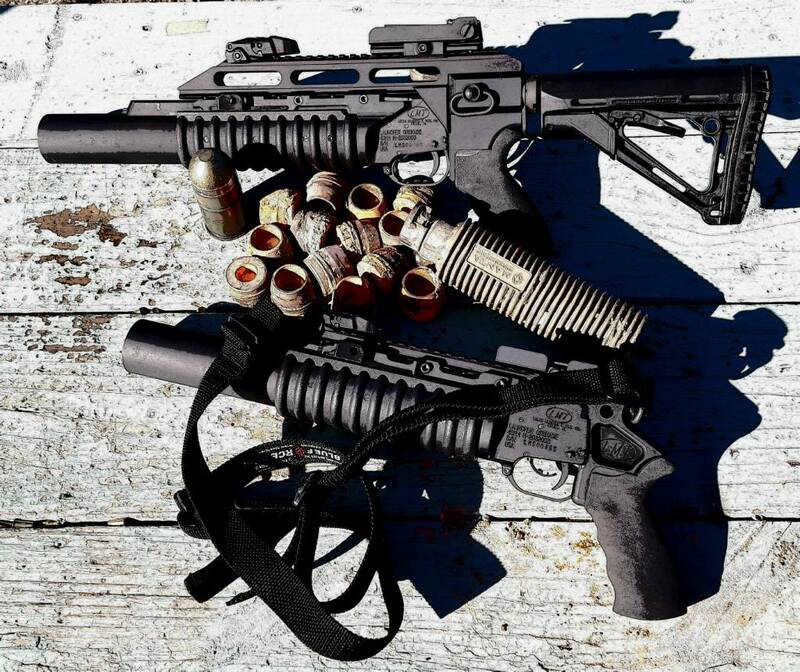 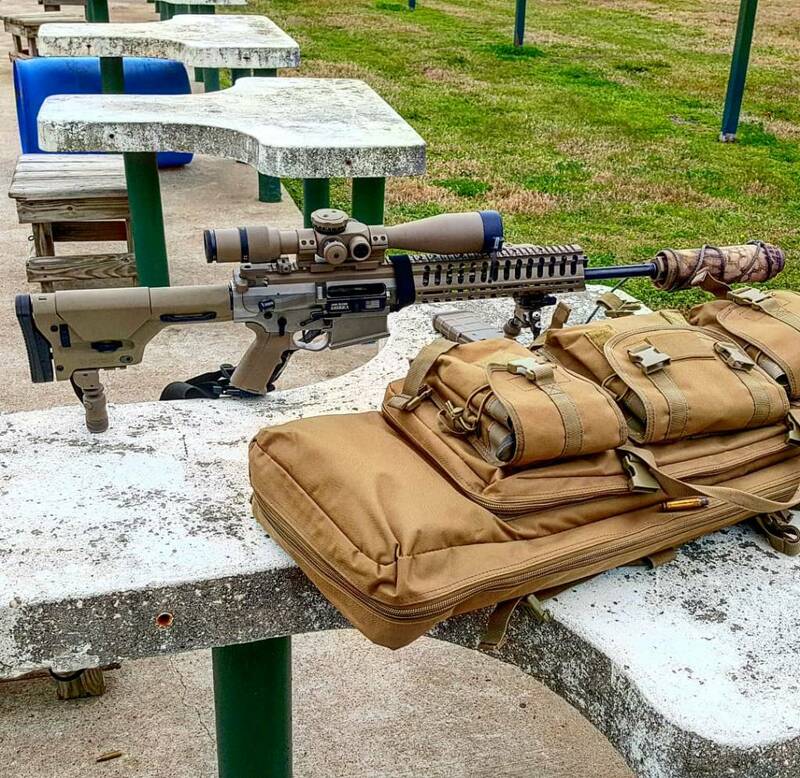 @pofusa P-308 20" cerakoted with US Optics 3-18 & a surefire SOCOM762RC with a @rifles_only HAD suppressor cover. 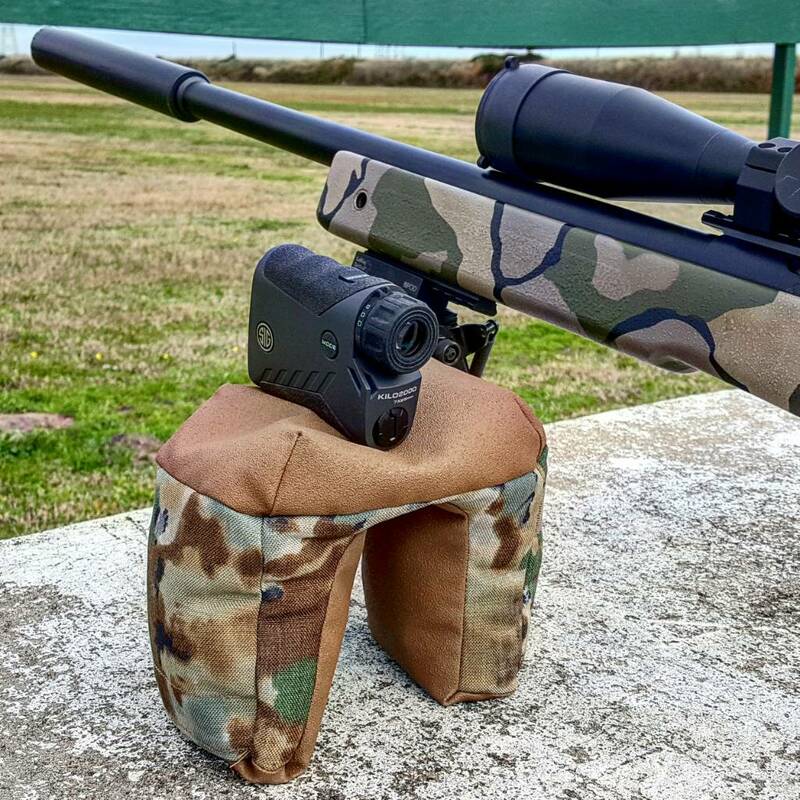 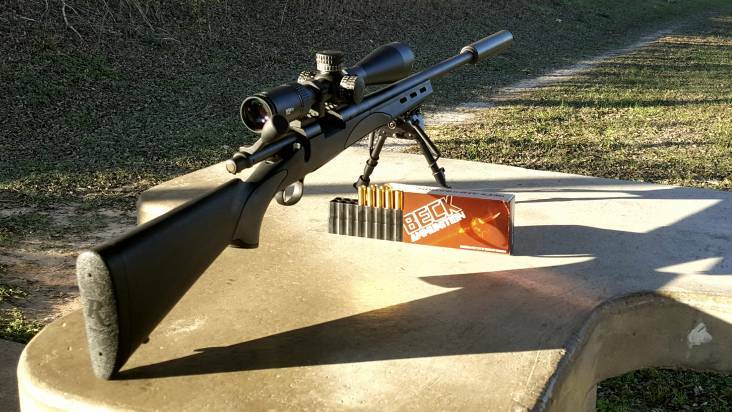 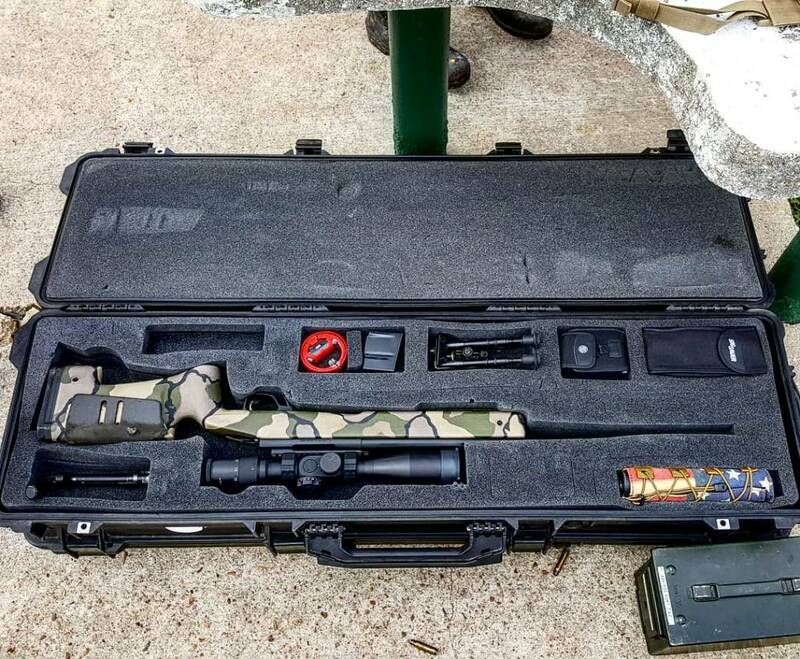 A Ruger 10/22 with an @deadairsilencers Mask HD in a Magpul stock. 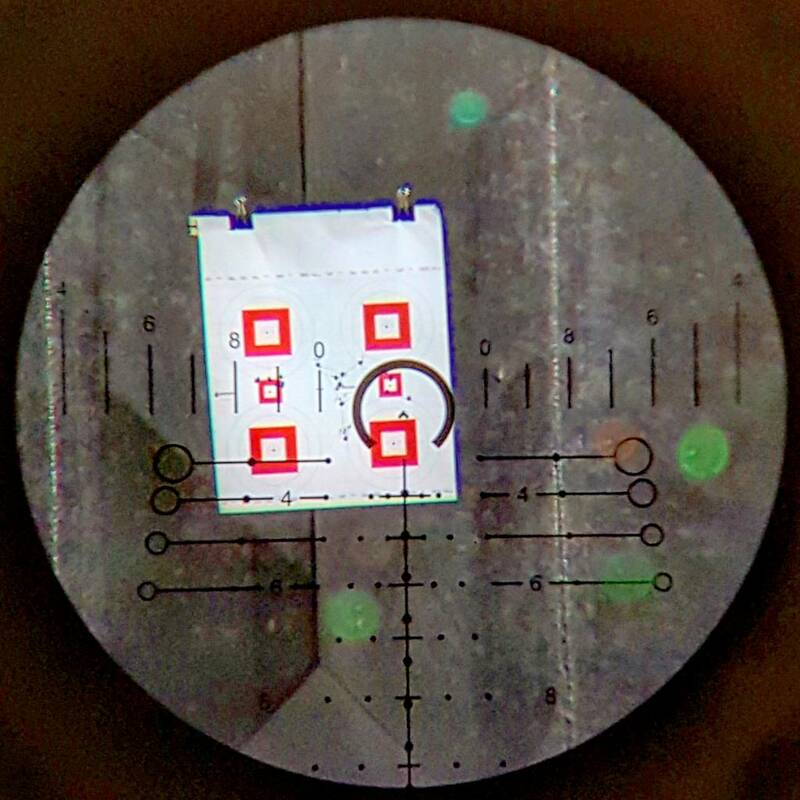 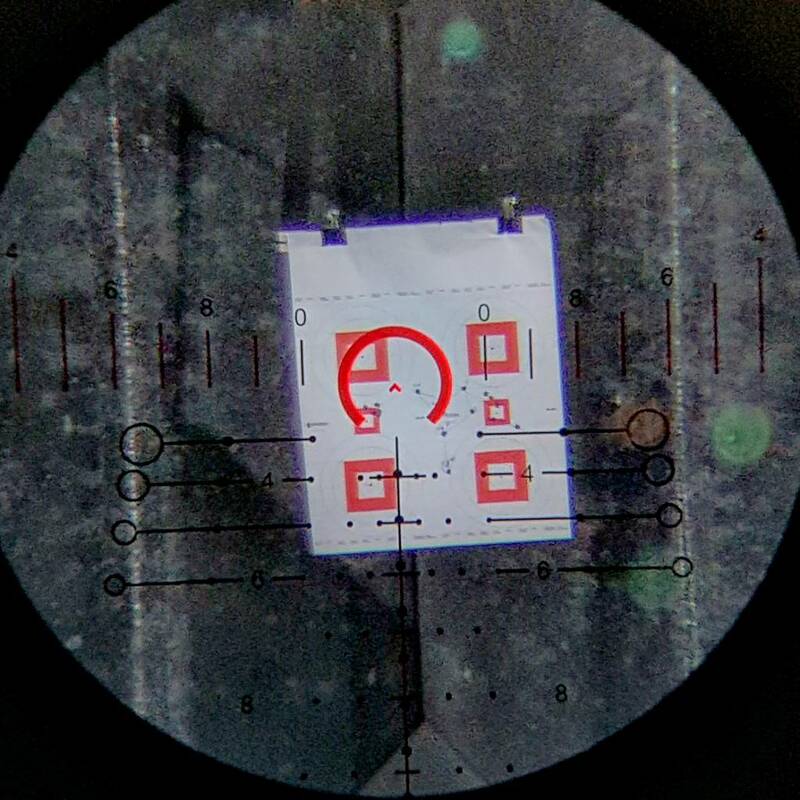 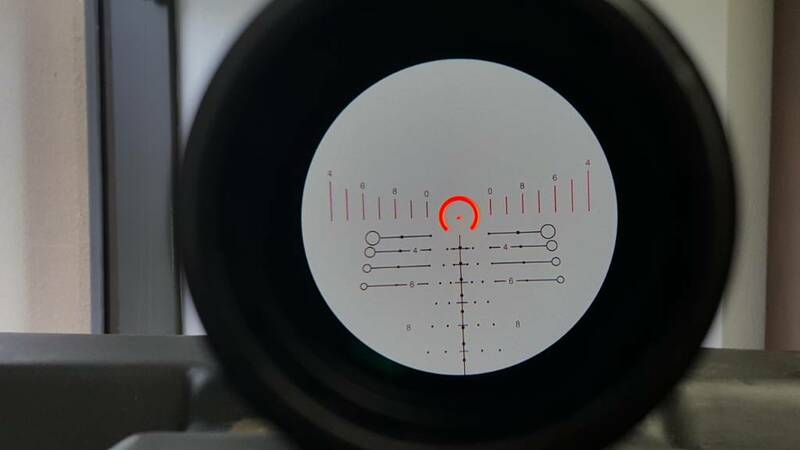 The optic is a Primary Arms 4-14 mil-mil FFP on a 20moa rail. 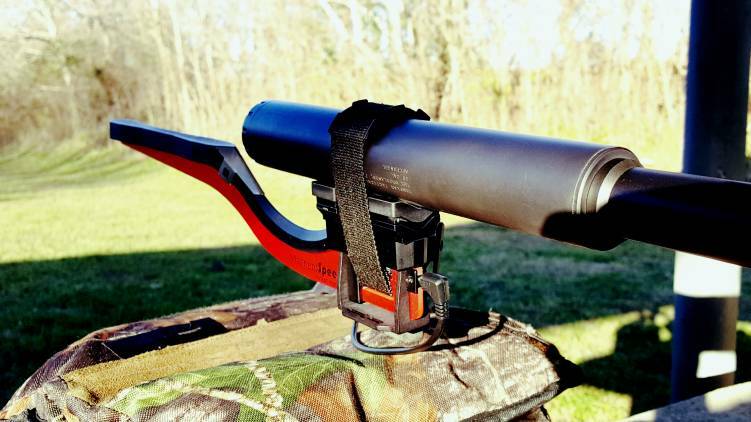 Reaper Grip on a tripod as a platform. 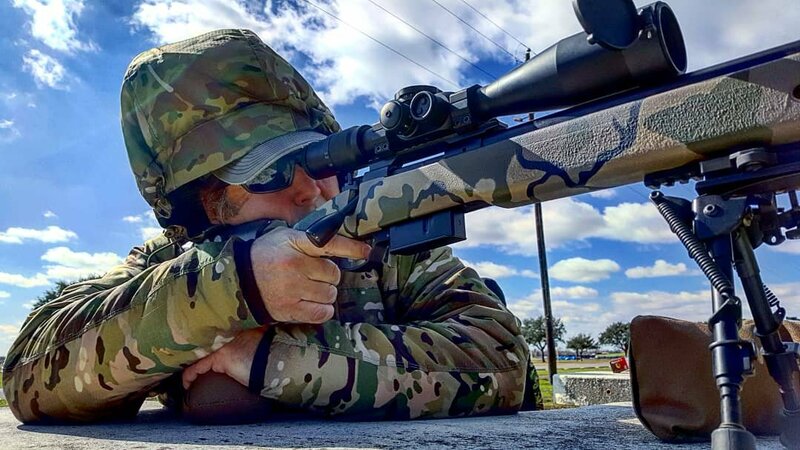 @third_coast_thermal has the kopfjager gear in stock. 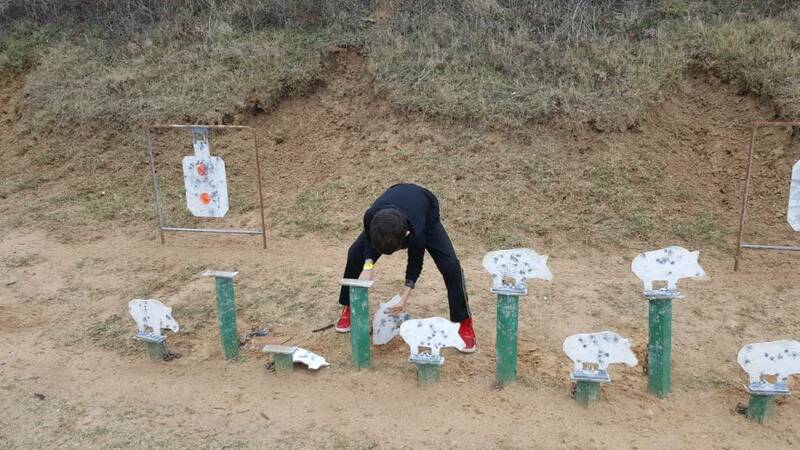 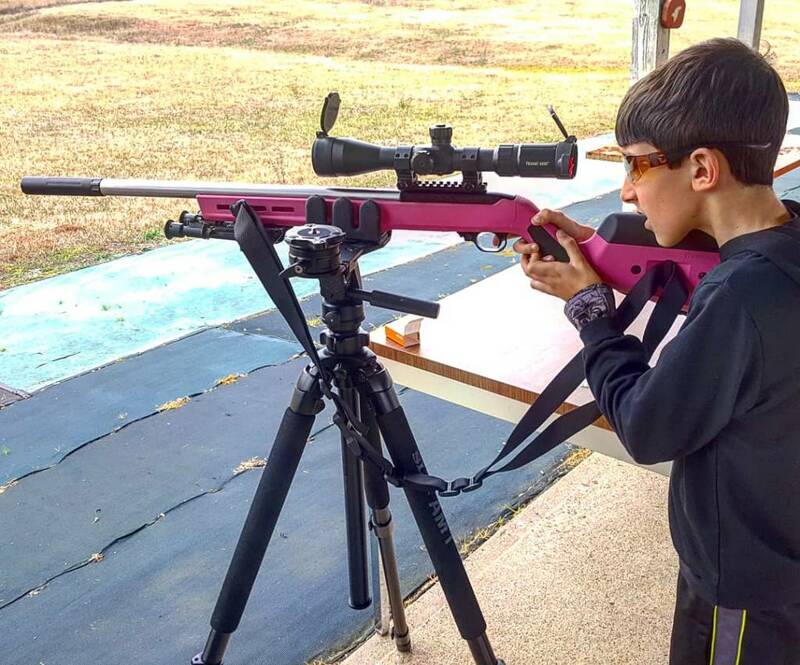 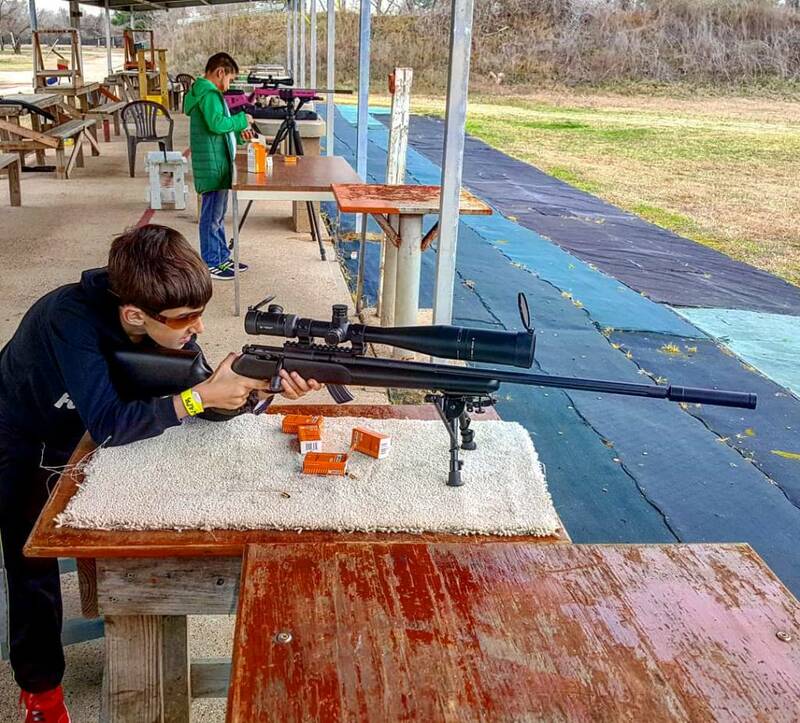 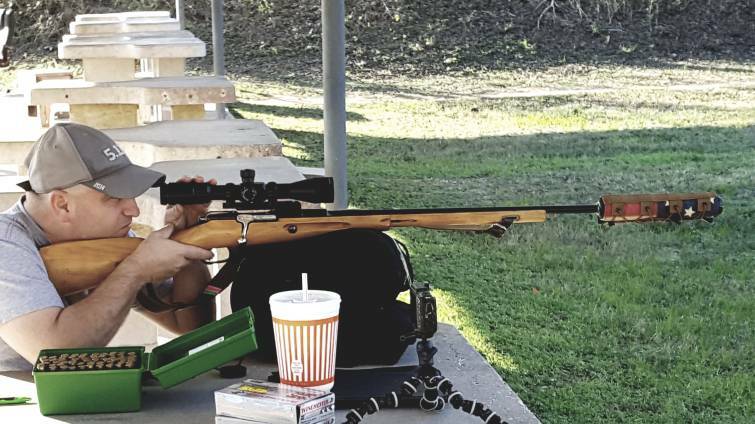 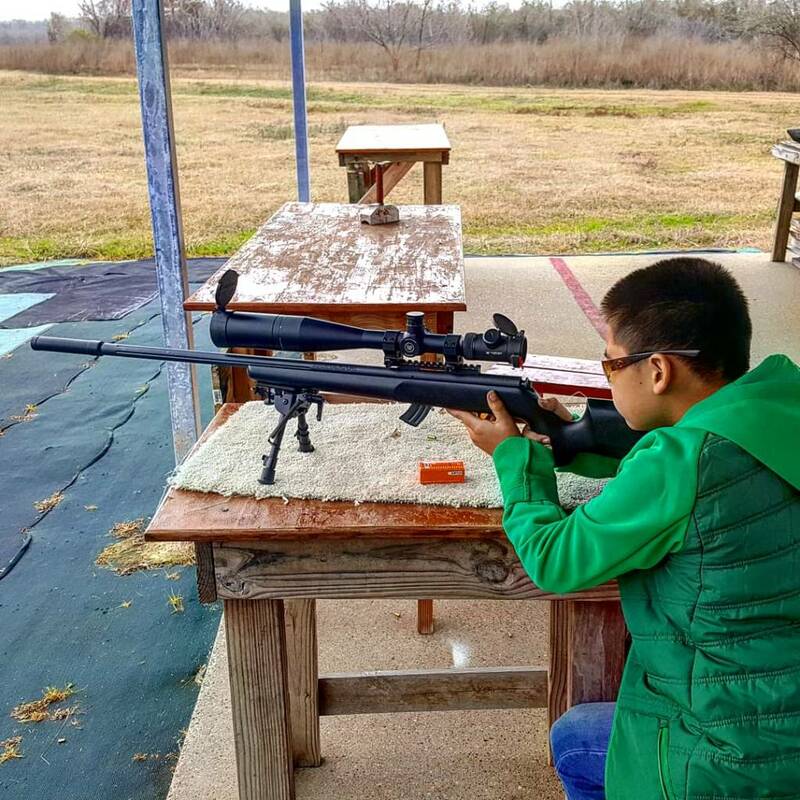 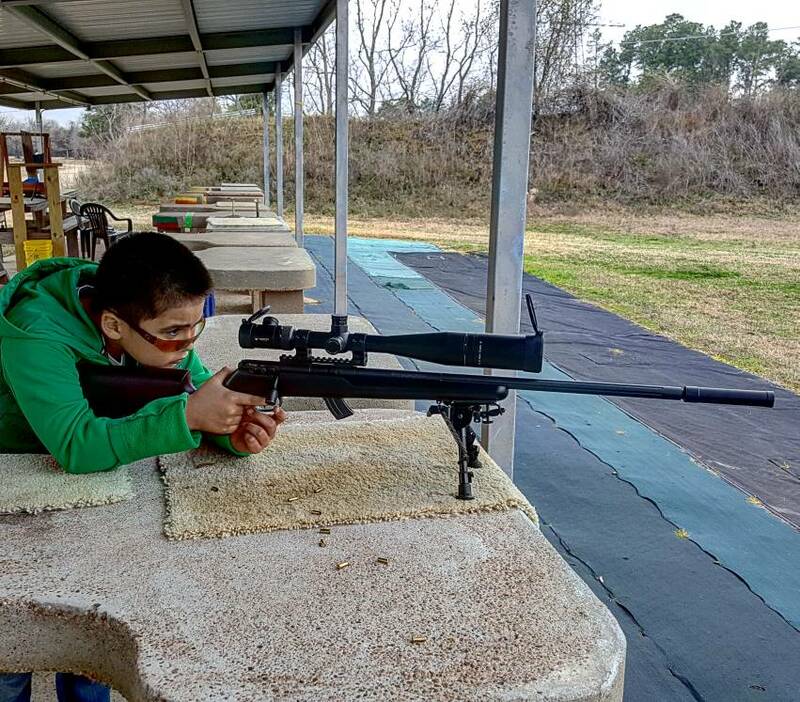 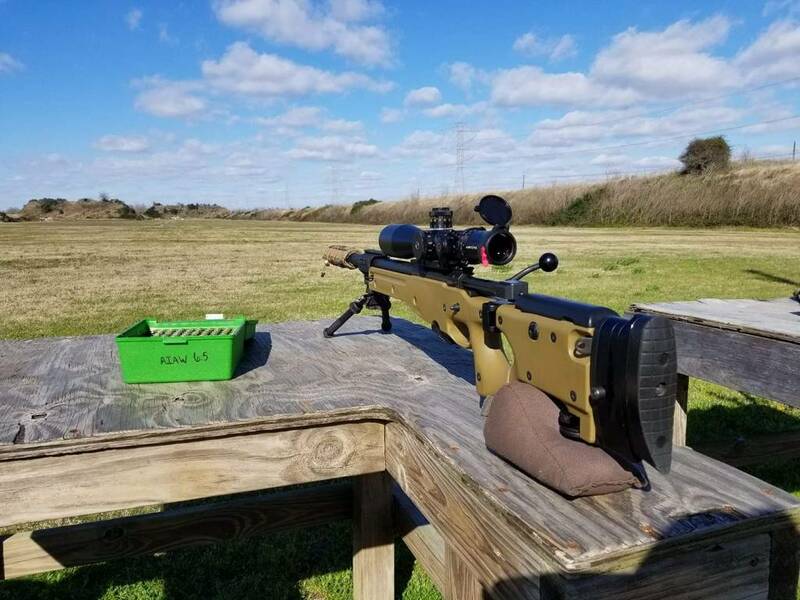 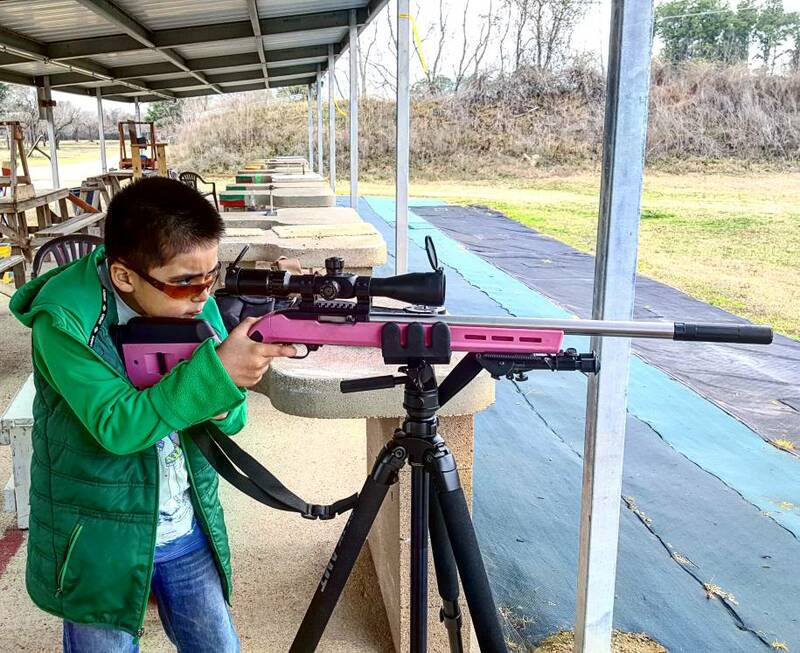 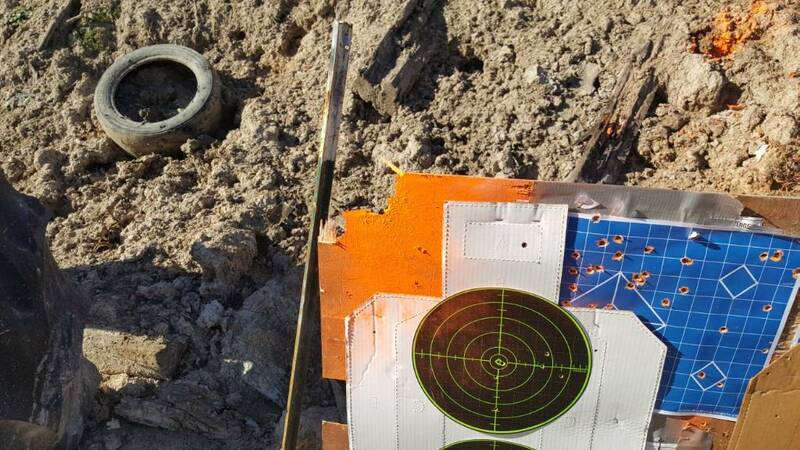 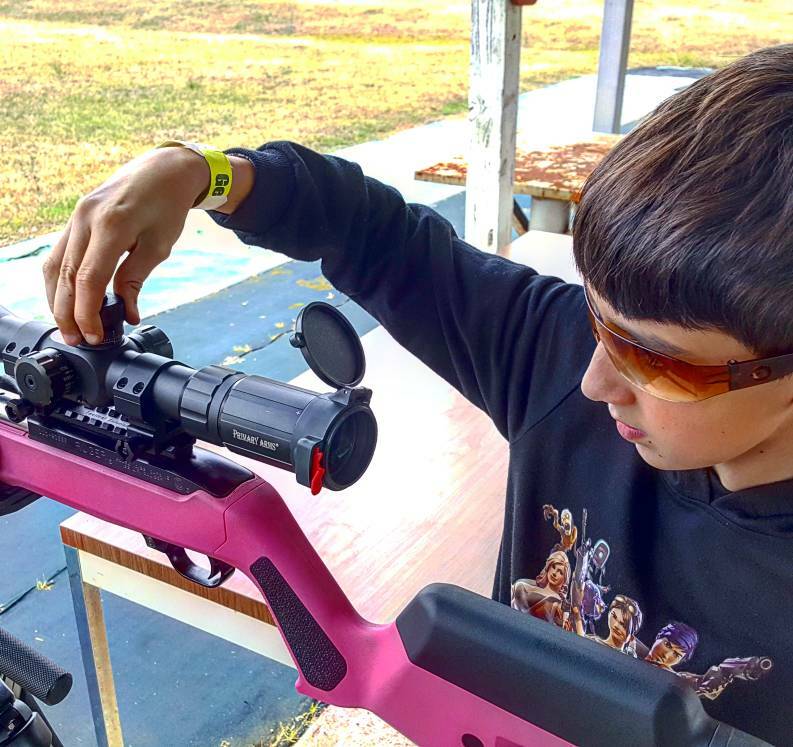 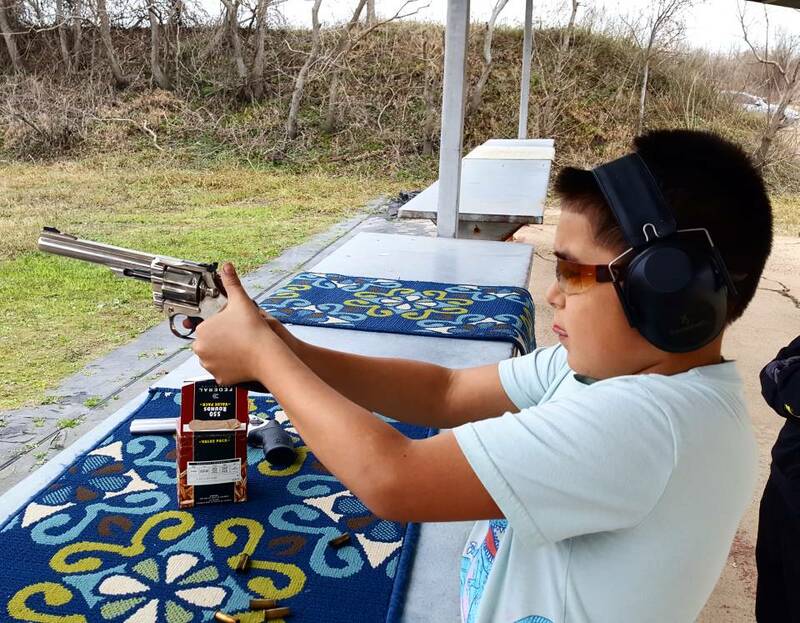 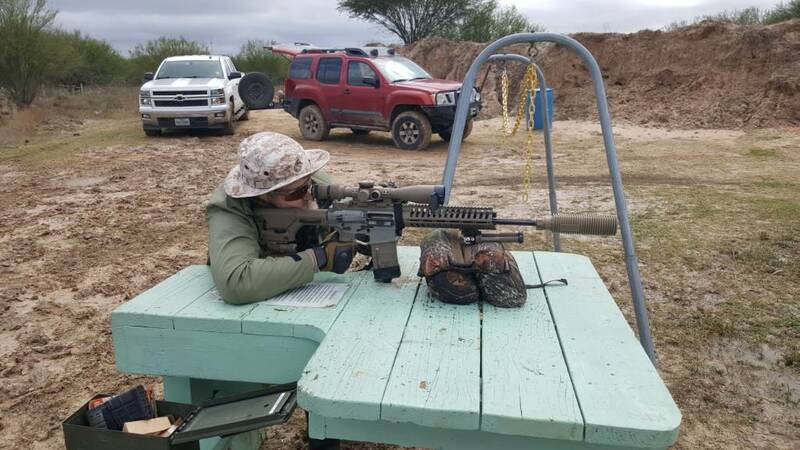 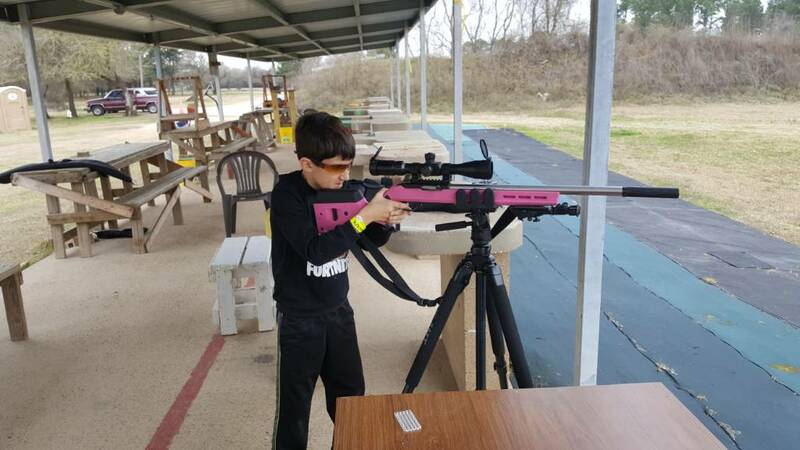 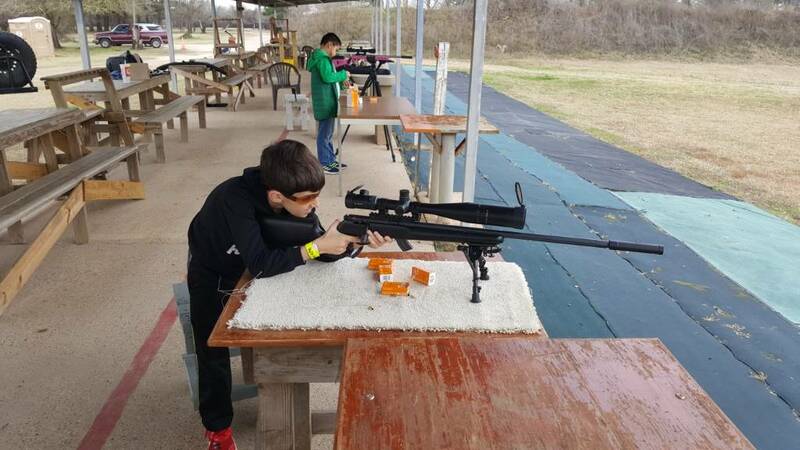 #saturdayattherange My 9 year old's friend ringing the 100 meter steel with a Savage MkII 22lr with a Vortex 1st gen. Viper PST 6-24 FFP Mil-Mil, Harris bipod and AAC Element II. 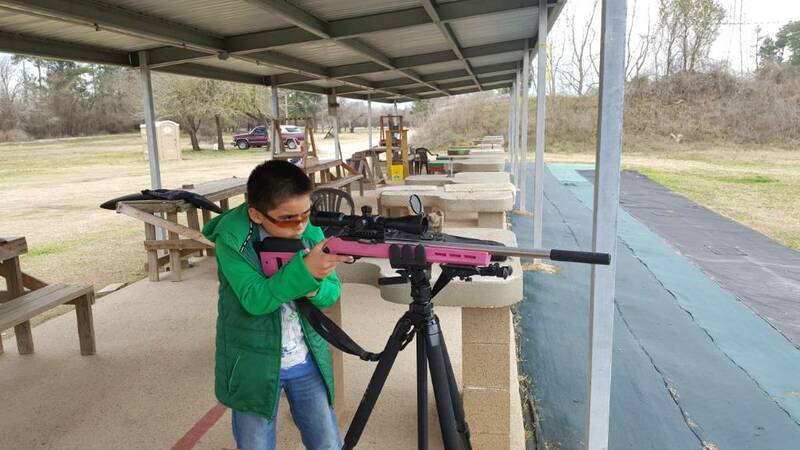 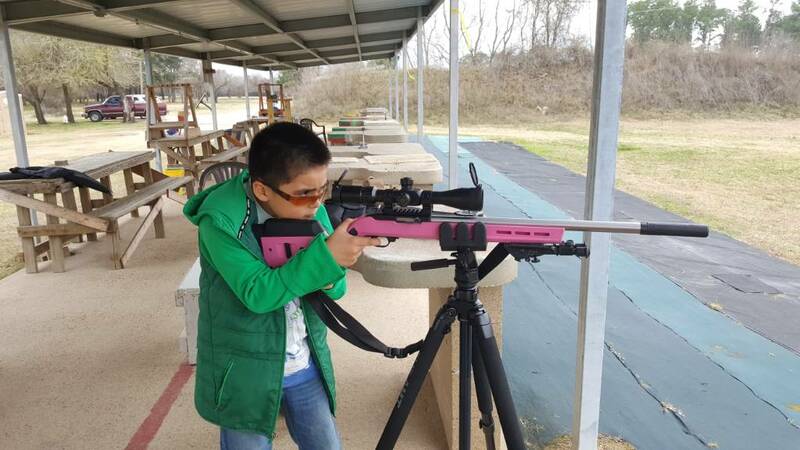 My 9 year old loading magazines for his Ruger 10/22 with an @deadairsilencers Mask HD. 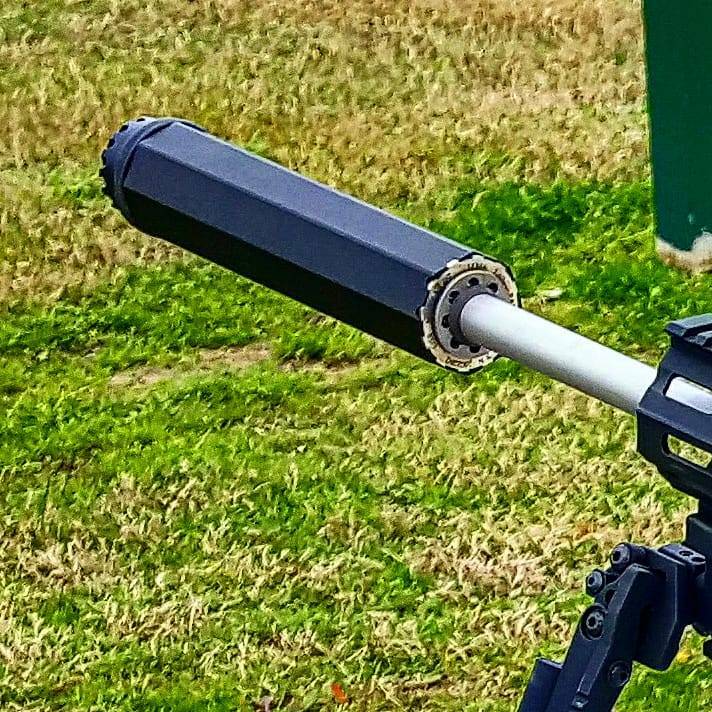 The optic is a Primary Arms 4-14 mil-mil FFP on a 20moa rail on the @kopfjager_industries Reaper Grip on a tripod as a platform.